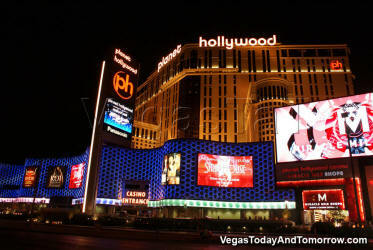 Planet Hollywood Resort and Casino (left) has completed its exterior and public-space remodel. 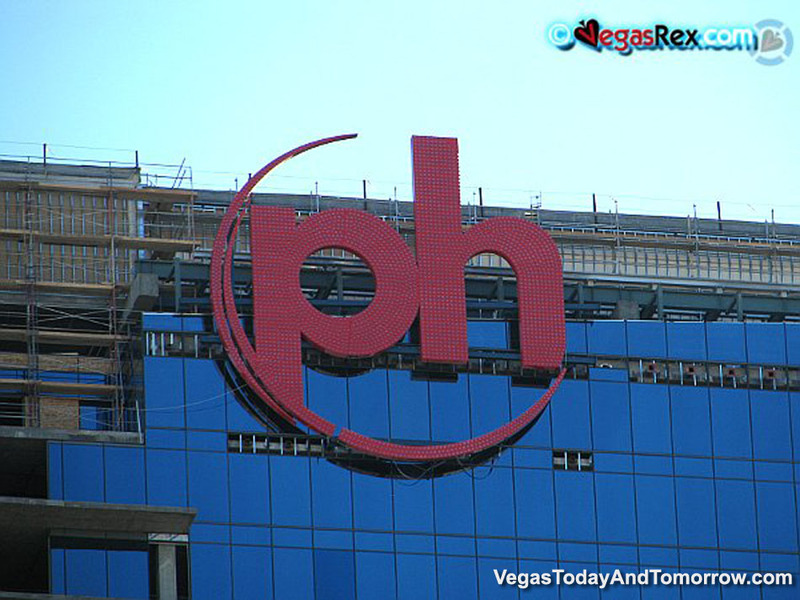 The PH folks are in the process of completely redoing their guest rooms. 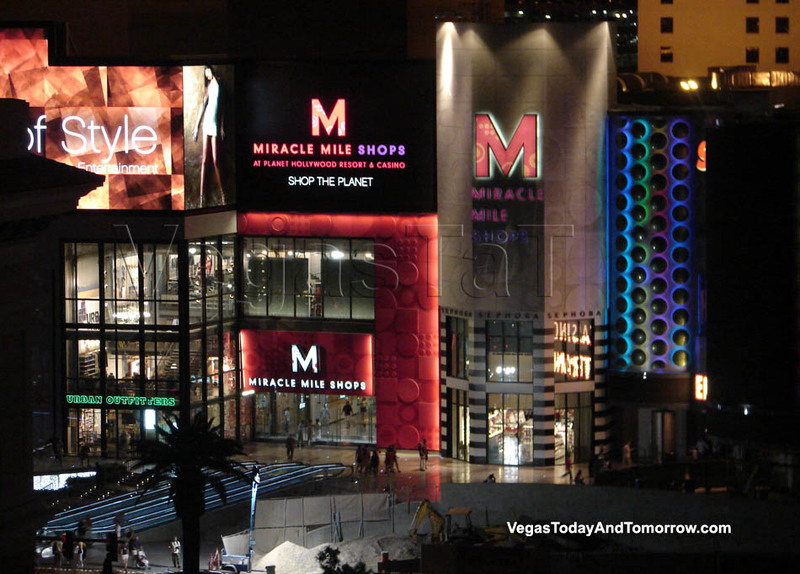 The Miracle Mile Mall (which wraps itself around PH) is also undergoing a major makeover. 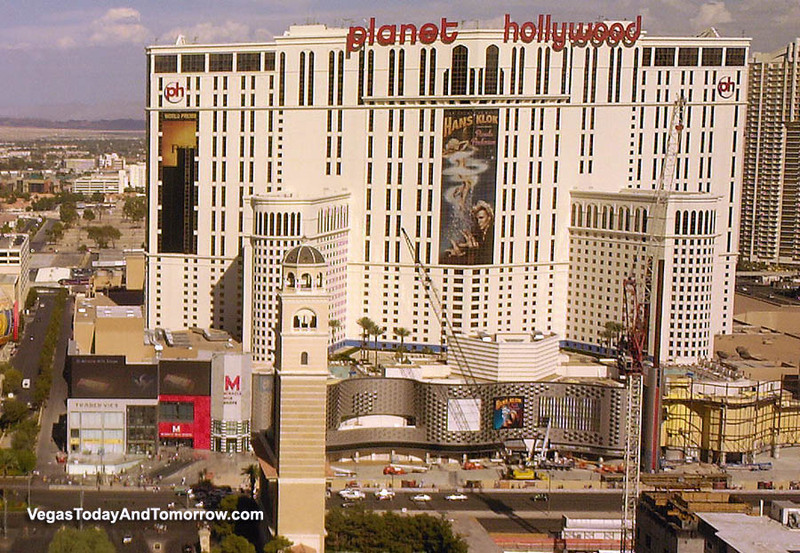 Planet Hollywood Tower(s) (right) is a major timeshare development that is directly connected to the resort (a Vegas first). 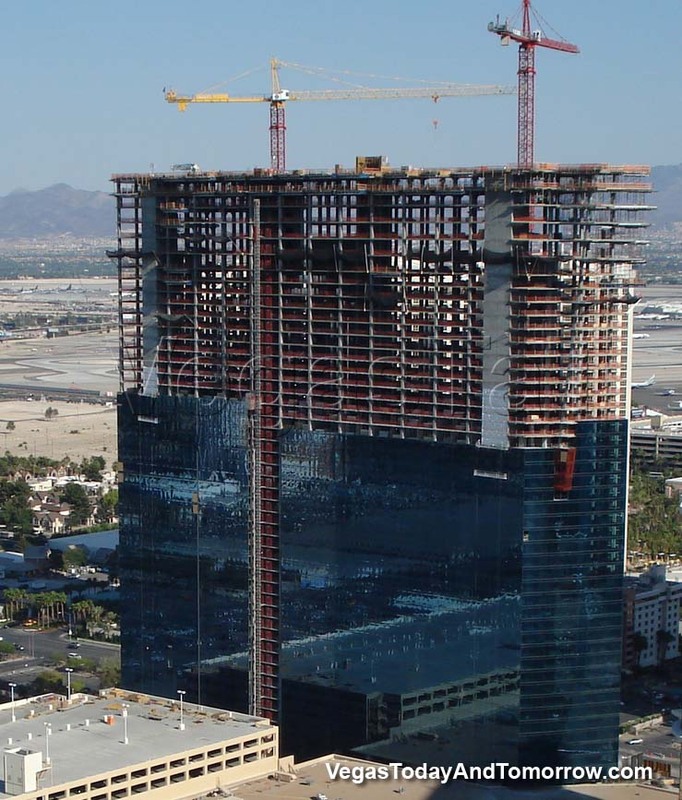 The first tower is well under construction and will top-out in June 2008. 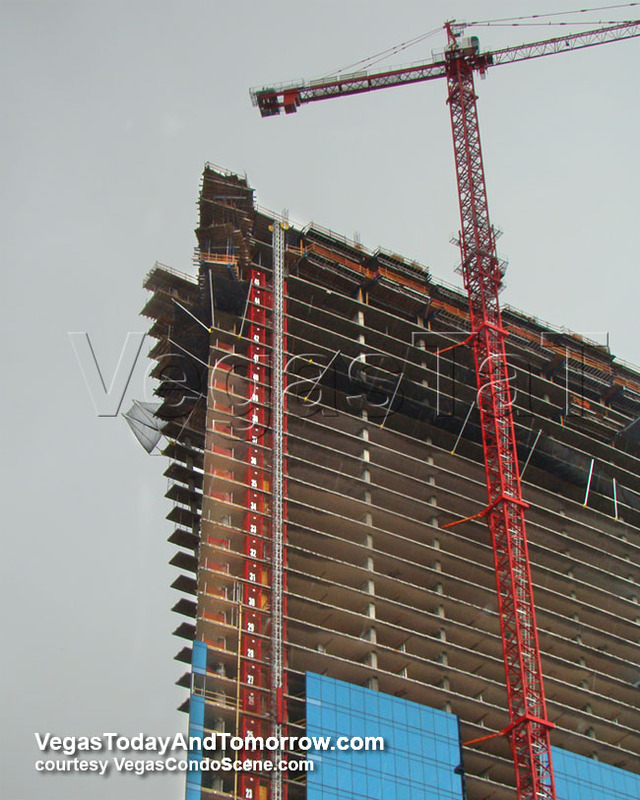 This page explores both properties in detail with plenty of construction photos, renderings, and news. almost complete and quite svelte. in a thick, iron grid. 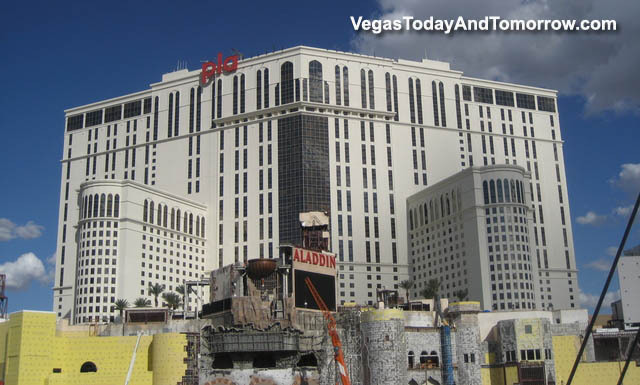 The interior transformation from Aladdin to Planet Hollywood is being done in small stages, as they are keeping the resort open during the process. 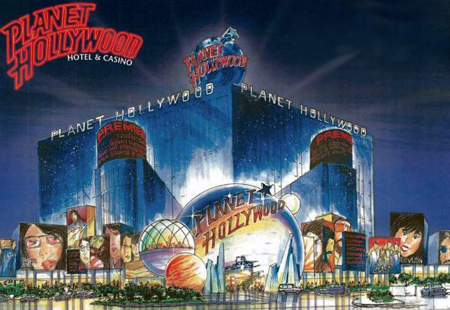 It's official, as of midnight, this resort is now referred to as Planet Hollywood. Well (damn-it), just like automobiles (with or without fins), the prototype/concept is always more sleek and beautiful than the dumbed-down final product. 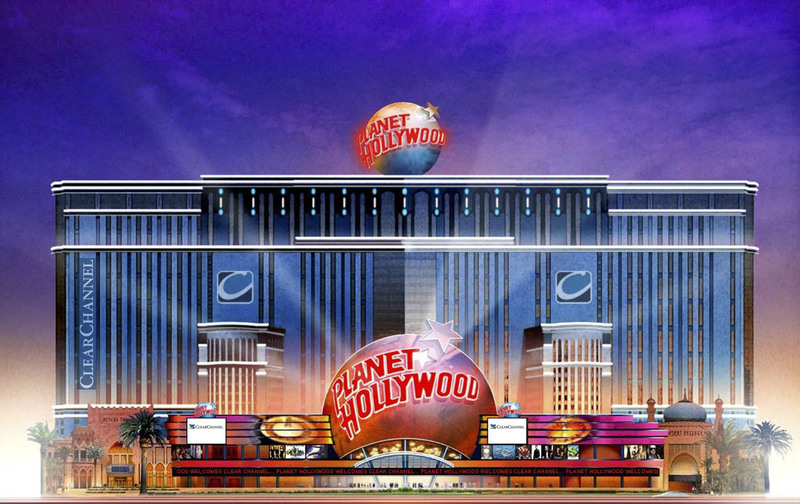 It seems strange that Planet Hollywood is still using the concept photo (far left) to promote Planet Hollywood Towers (at the building site and on their website). 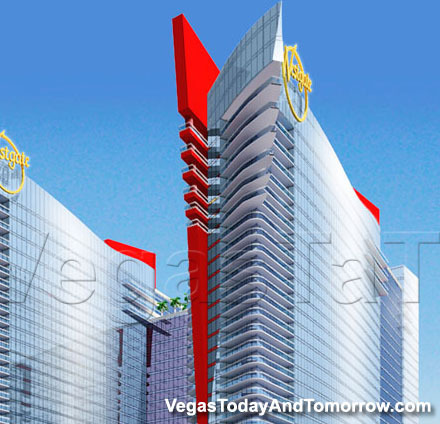 I found this updated rendering (near-left) on the architect's site, which is notably different. 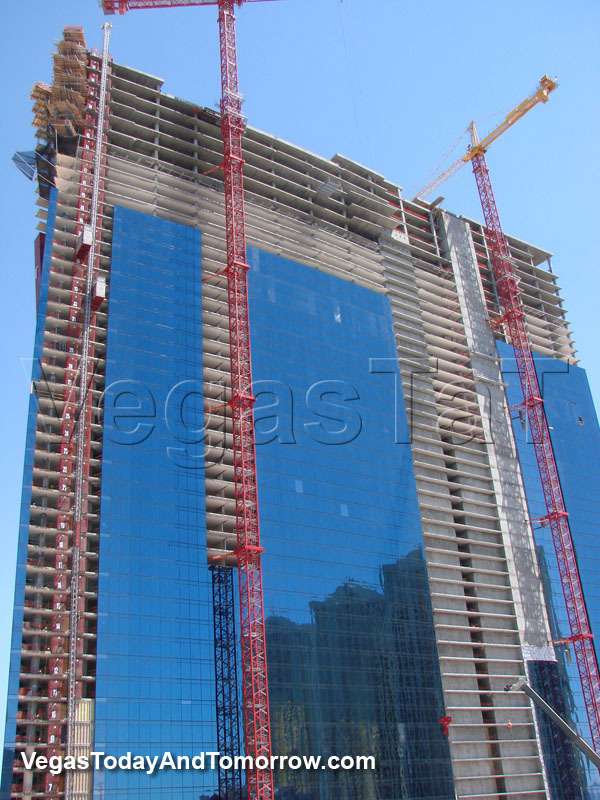 Gone are the rounded-corner balconies on the lower floors. 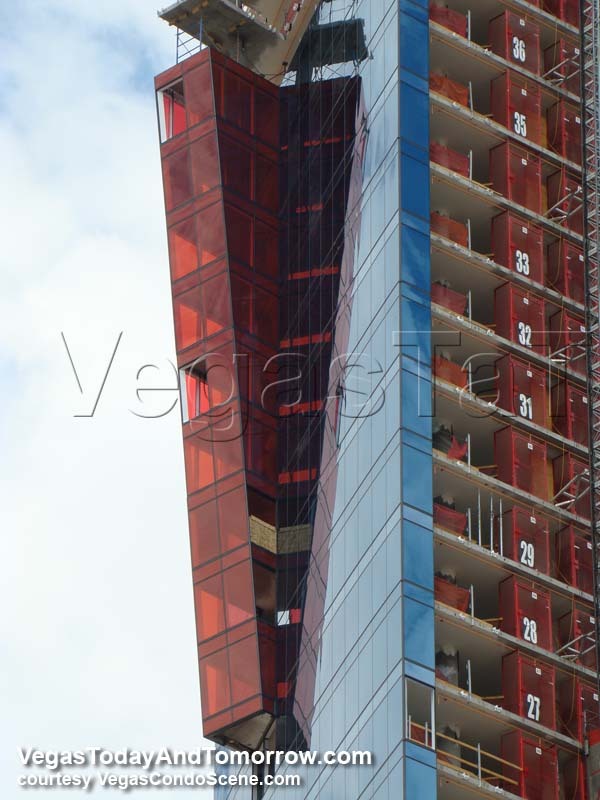 The too-cool thin balconies in the red fins have been reduced from six floors to only four. 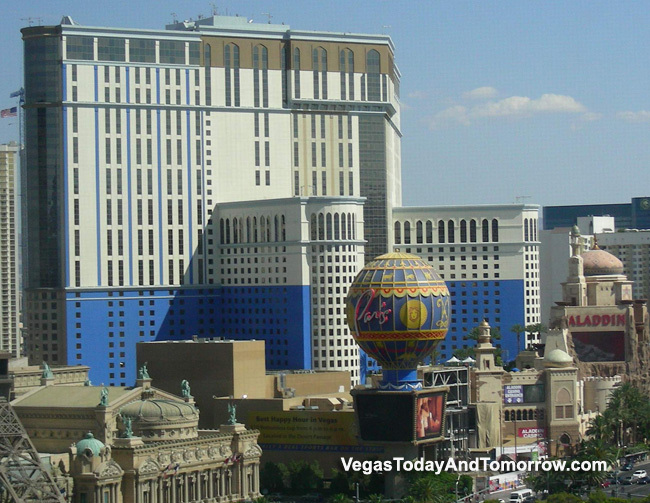 The color has shifted to a darker blue. 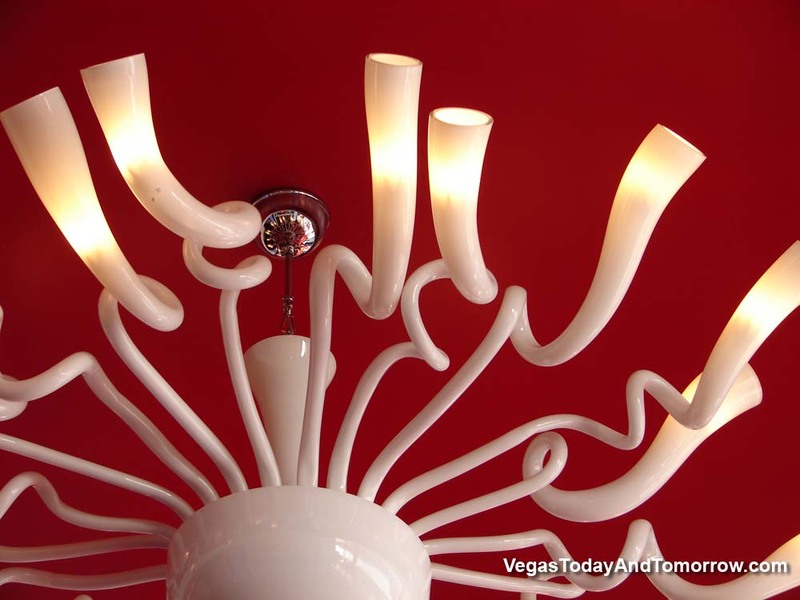 And the overall design is less streamline, less dramatic. 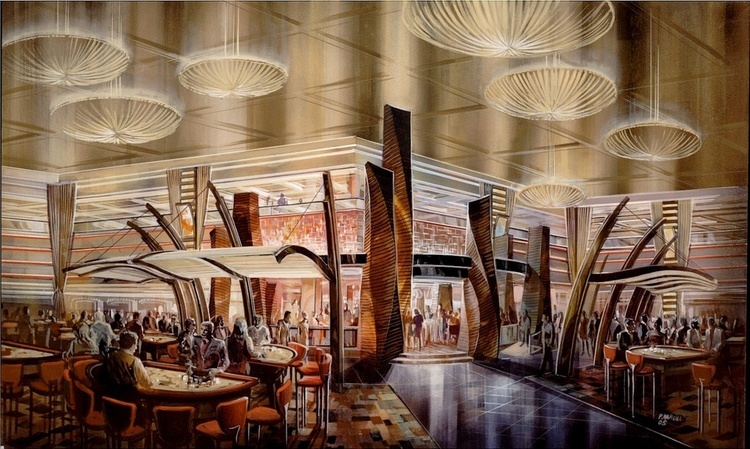 I always thought the first renderings were too good to be true and, alas, I was right. Oh well, they're still pretty cool buildings. 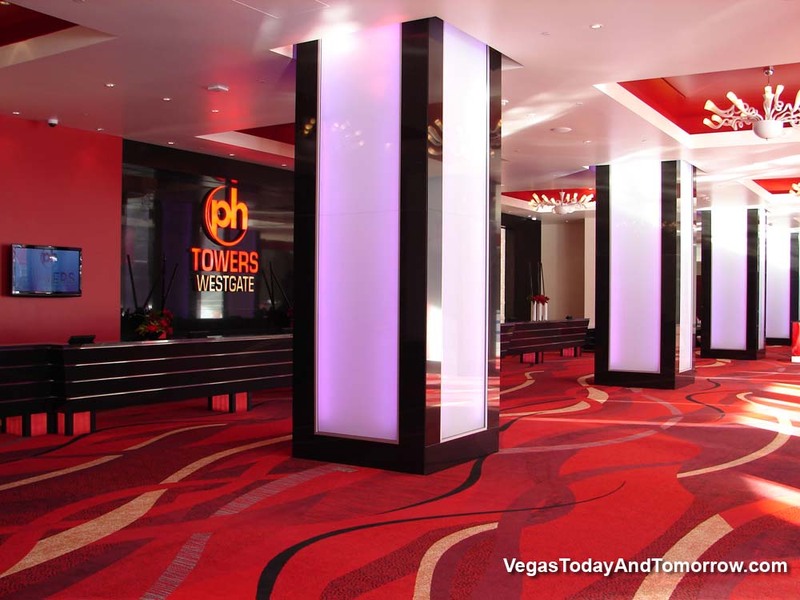 PH Tower(s) is now open. 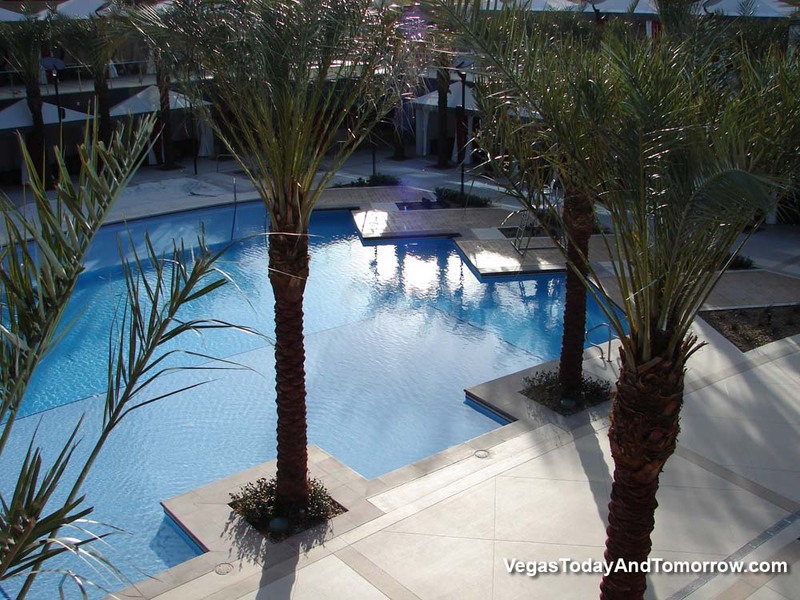 These are some shots of the lobby and pool area. 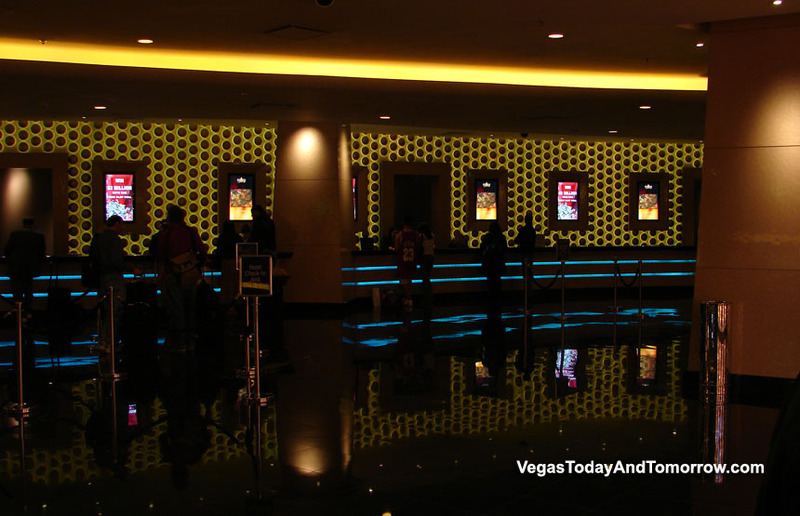 Come join this discussion on the blog. 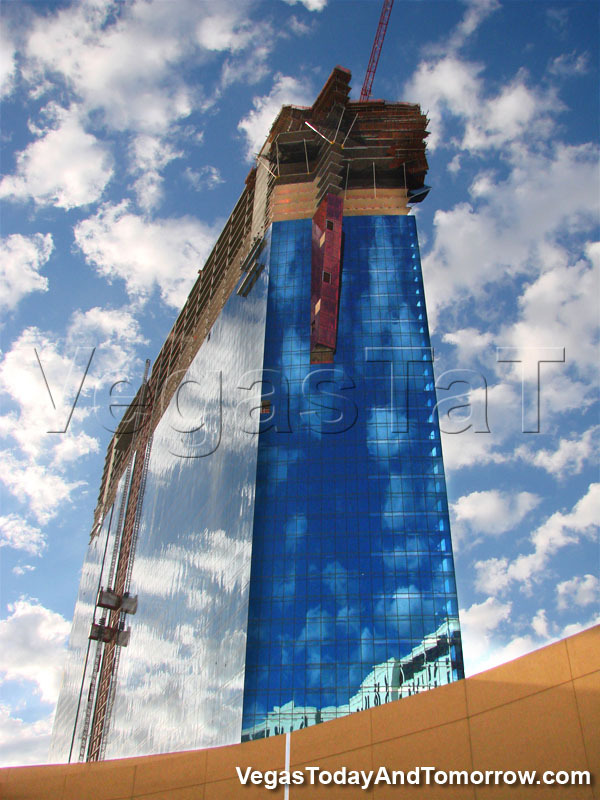 Another nice view of the nearly finished tower. 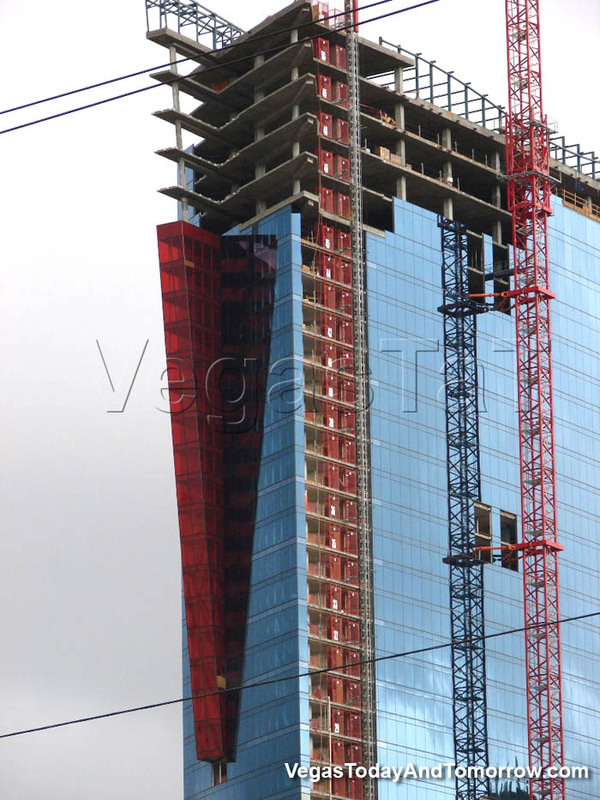 The railings on the corner fin are the only missing details. 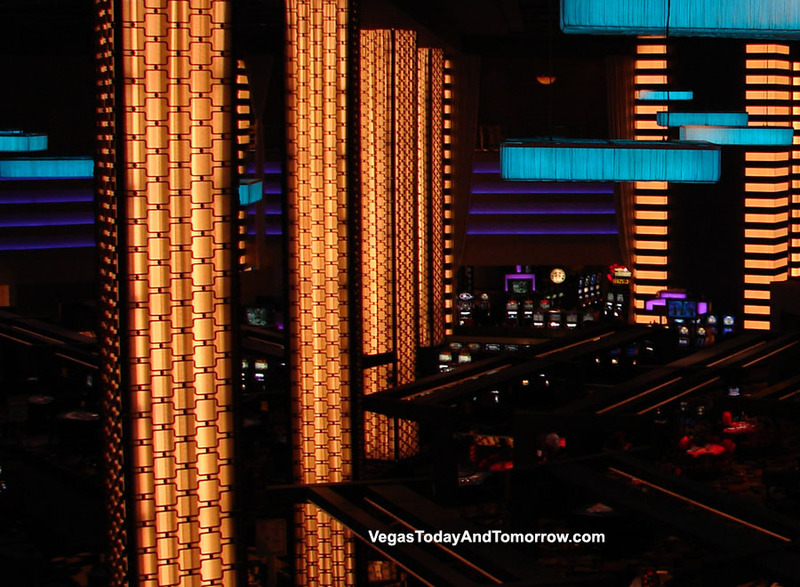 This view also lets us zoom into the podium levels and pool deck. 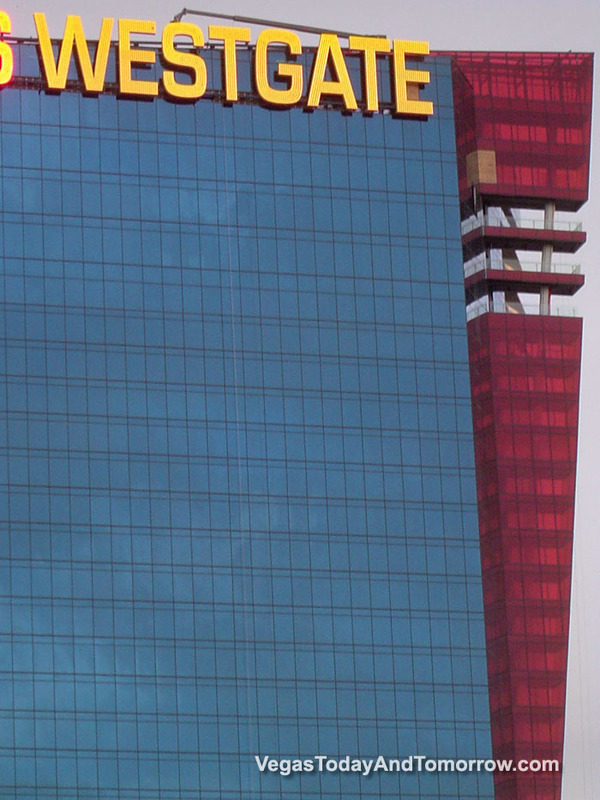 and a zoom-crop of the same. 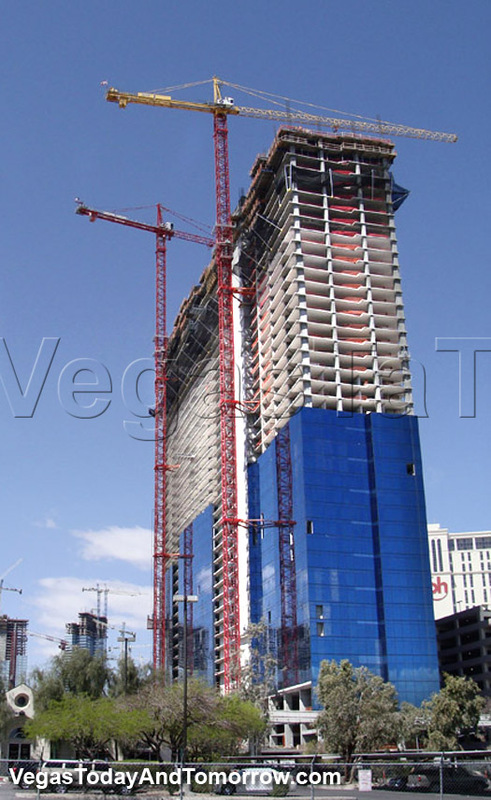 Only a few unfinished details remain on the tower's exterior. 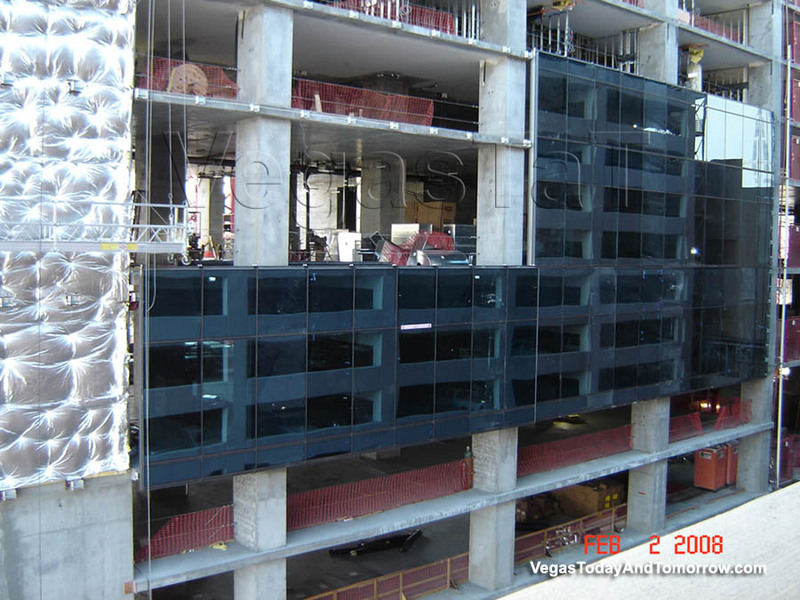 The first shot from 1/26/09 shows the red glass covering more of the fin than the renderings show. 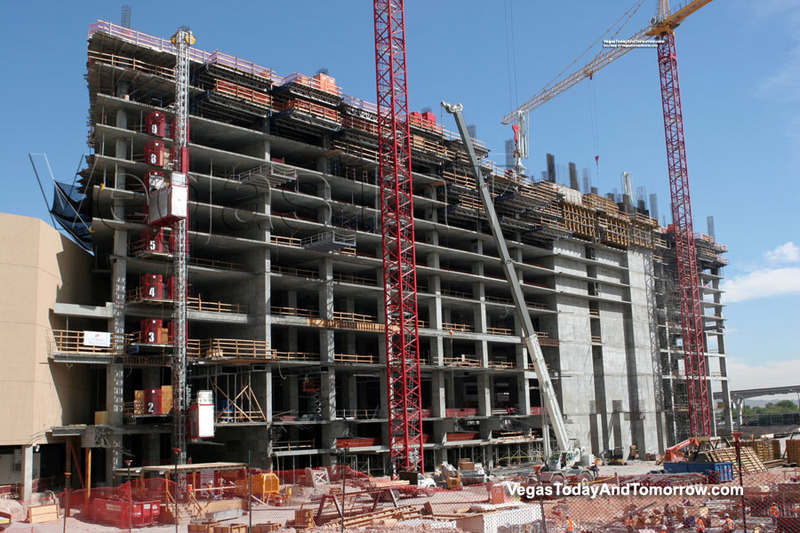 This leaves only three crazy, three-side-open balconies. 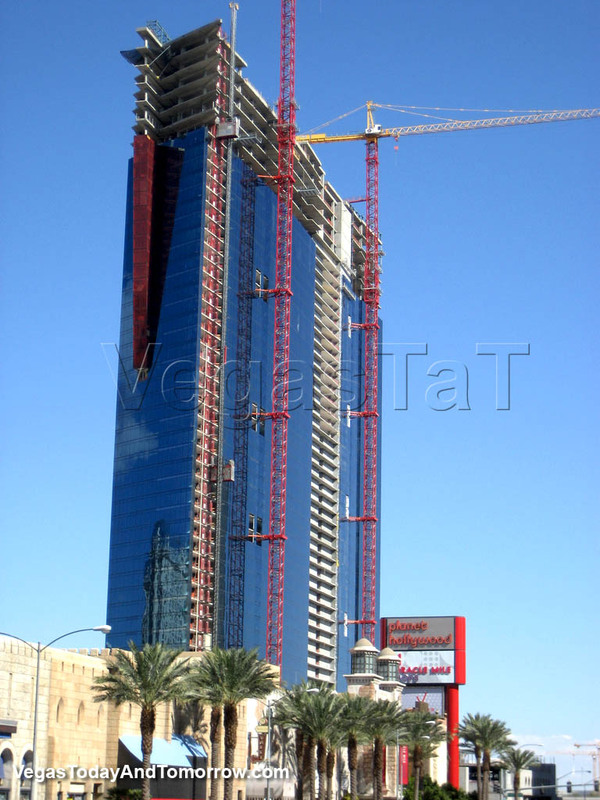 The original rendering had six of these balconies and the revised rendering had four. 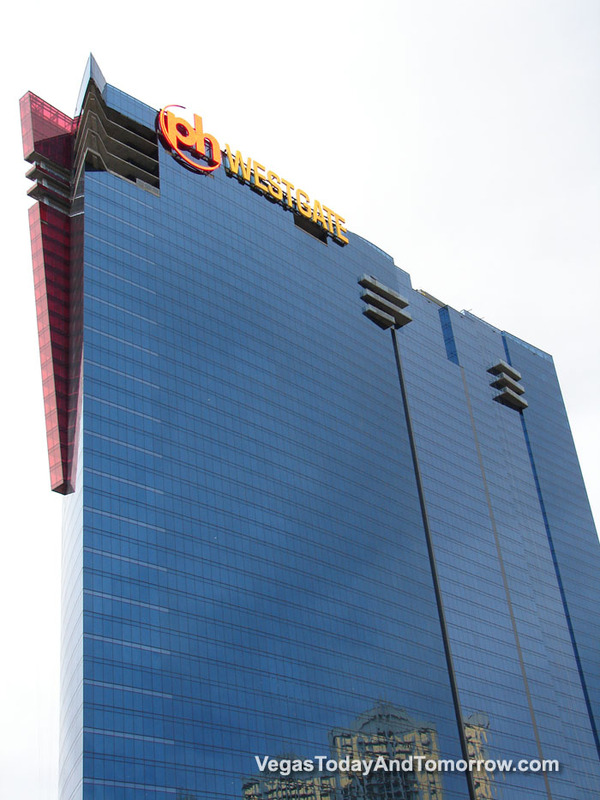 The photo also shows the tacky yellow Westgate logo being installed (ruining an otherwise cool building). 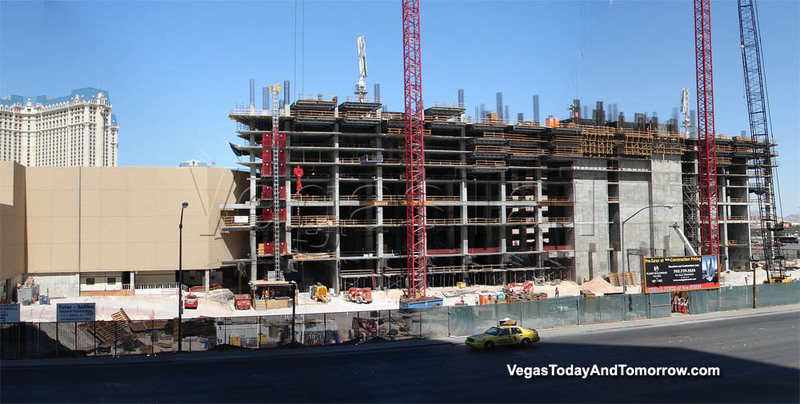 The second photo (1/23/09) is from the same vantage point. The next three shots (1/10/09) show more views of the north side of the tower. 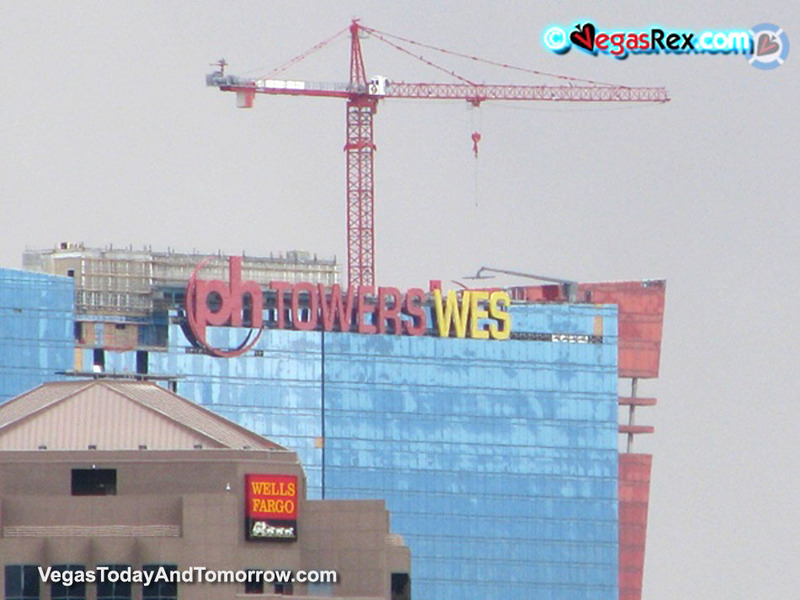 This photo from 12/23/08 shows the ugly yellow Westgate logo on top of the south side of the tower (without the word "TOWER" as seen on the north side. ??? 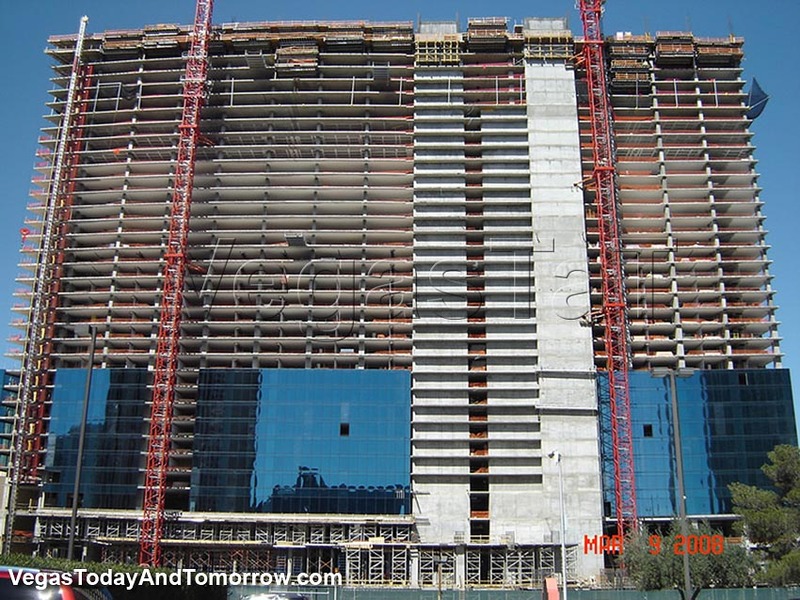 The glass curtain wall is approaching the top and the balconies in the fin are clearly defined. 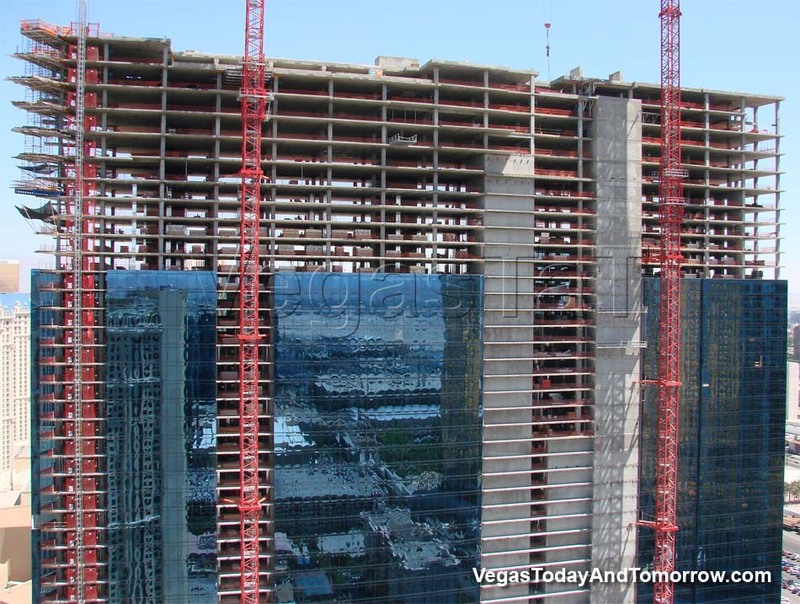 Glass creeping up slowly but surely. 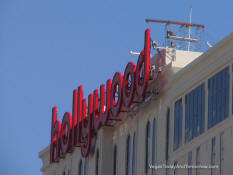 A close-up shot of the wacky balconies on Planet Hollywood Towers. 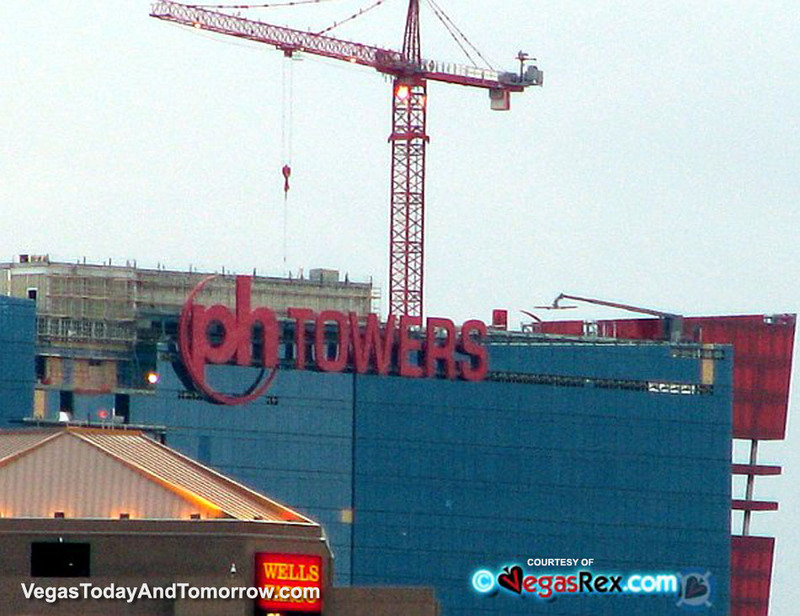 Planet Hollywood Towers is revealed. 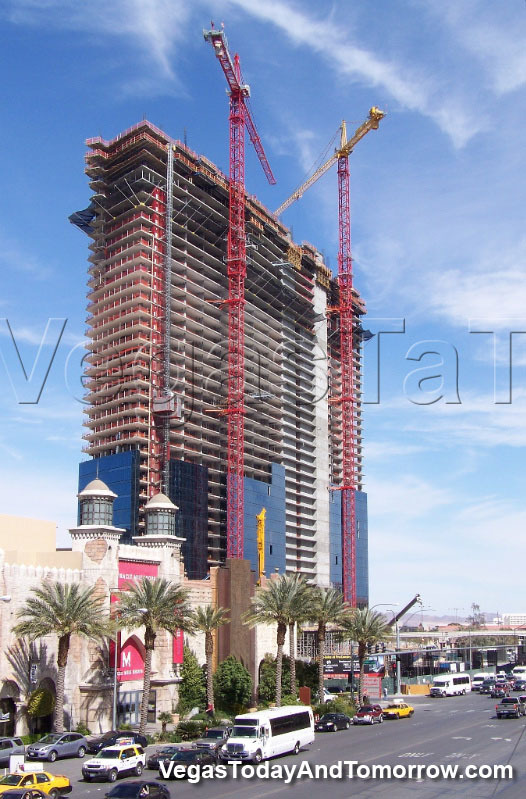 This tour shows the tower nearly topped. The podium (along Harmon) has some interesting holes. 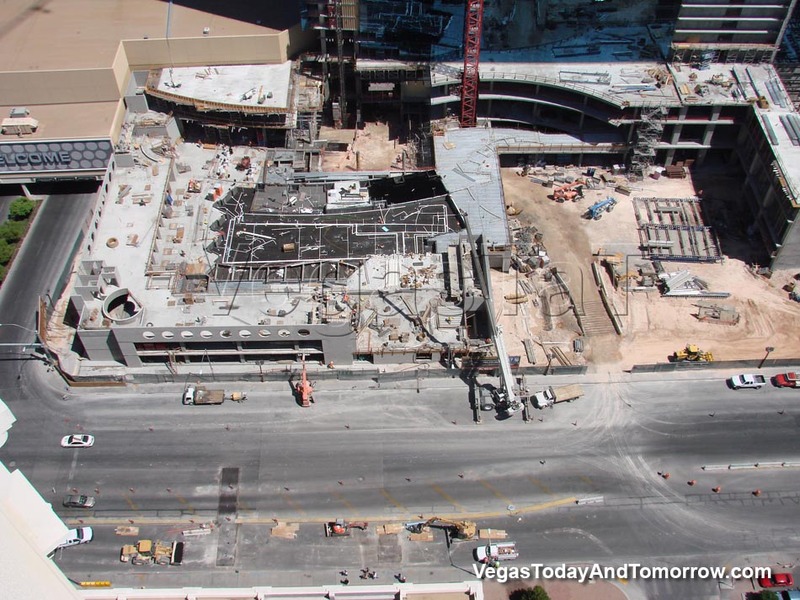 The birds-eye shots show the progress on the podium and the (sans-glass) area of tower one that will connect to tower two. The red fin is taking shape and looking very unique. 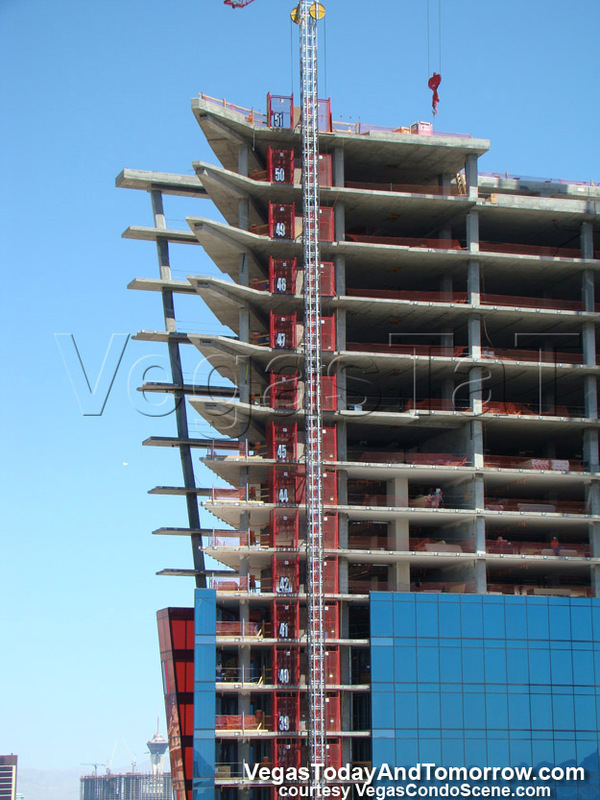 A "low-key" topping-off ceremony was held last week. 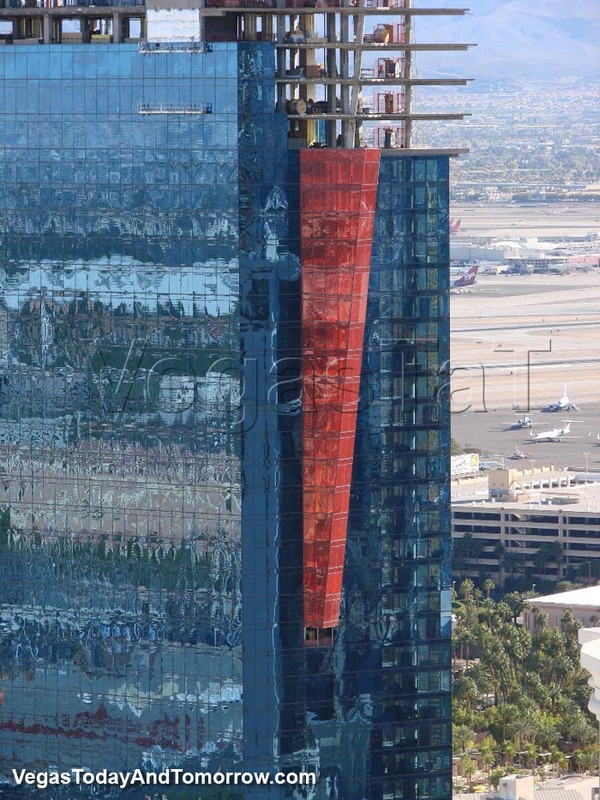 The red glass on the fin is now being installed. 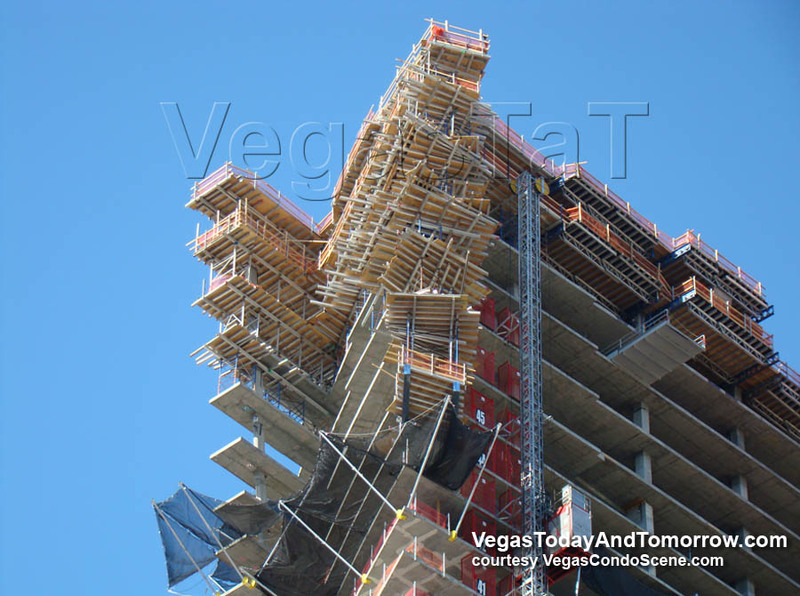 Topping out at 50 floors, Planet Hollywood Tower-1 is showing off its awesome, thin, two-sided balconies. 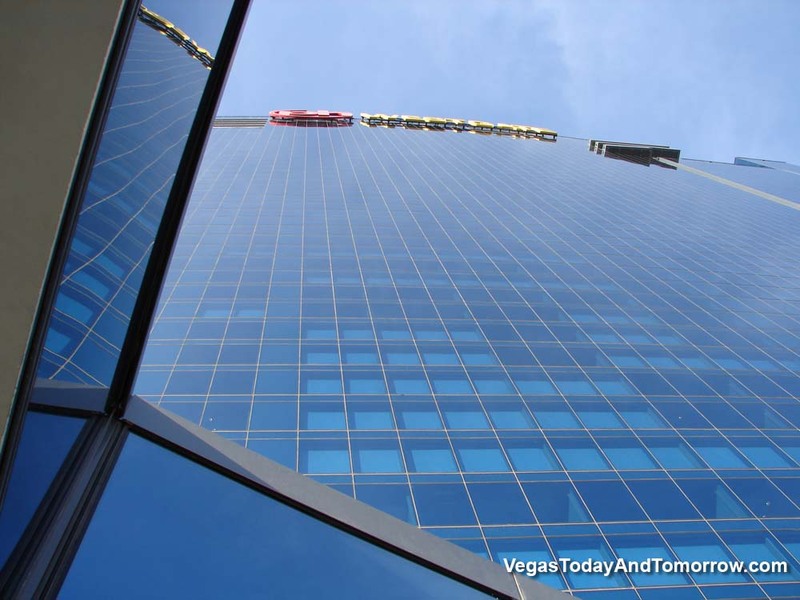 which is up to its 48th floor. The pool area, which will be between the two towers, is taking shape. 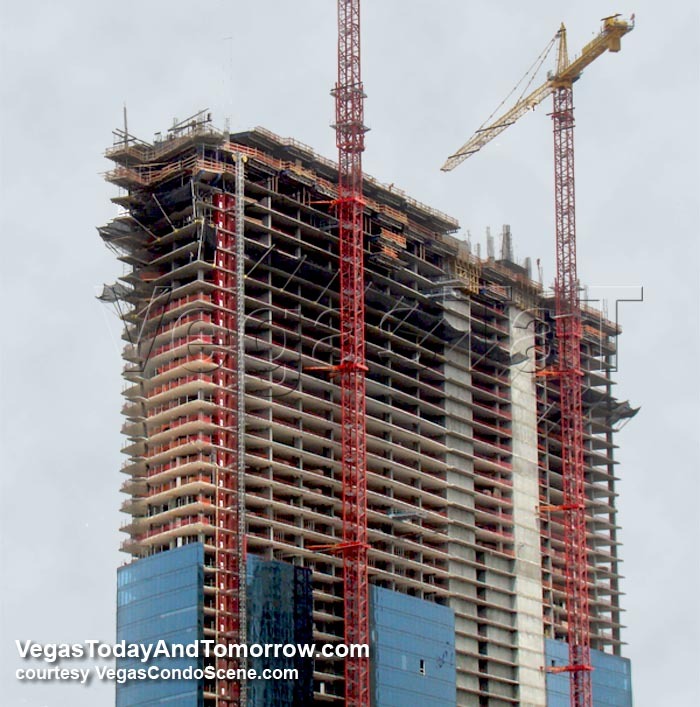 The first tower is up to its 47th floor. 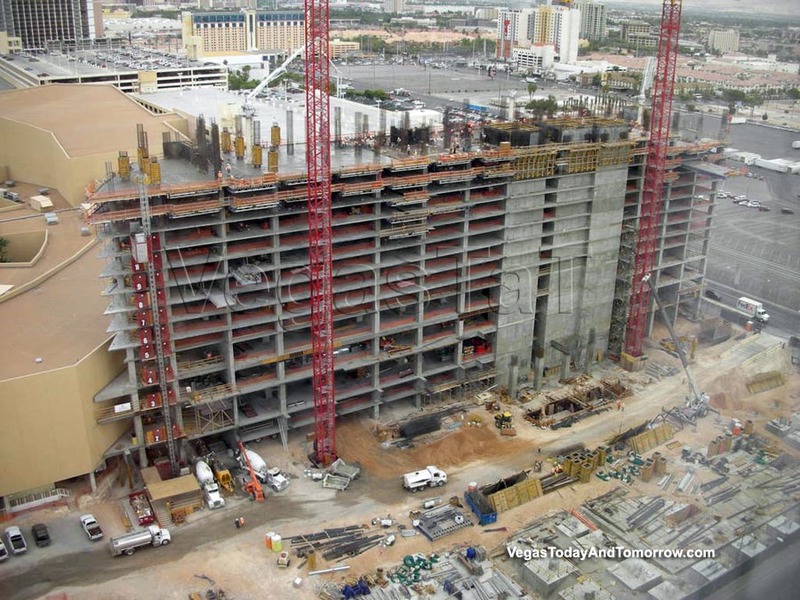 The fin is taking shape at the top of Planet Hollywood Towers. 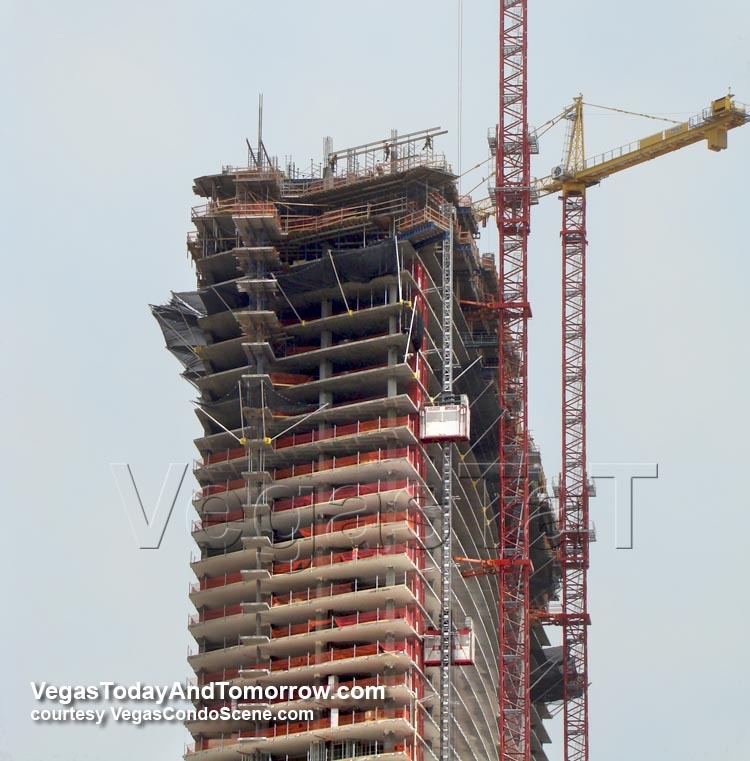 Working on the 44th of 50 floors. 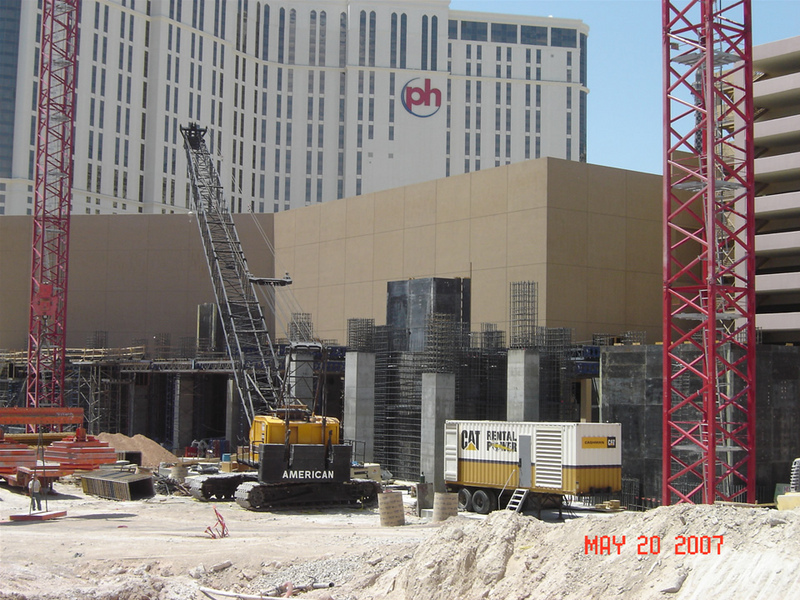 Planet Hollywood Towers is rising fast. 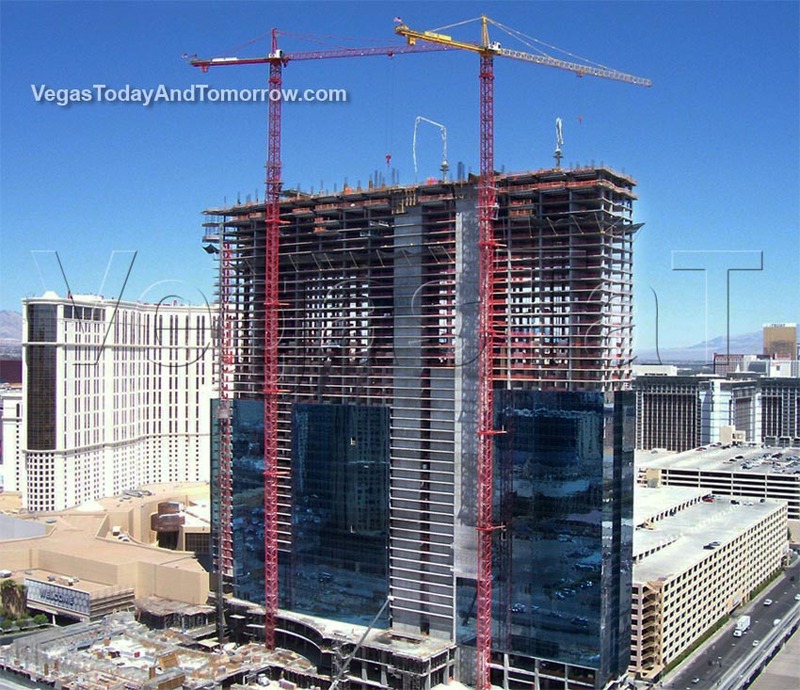 tower one, is up to the 37th floor. 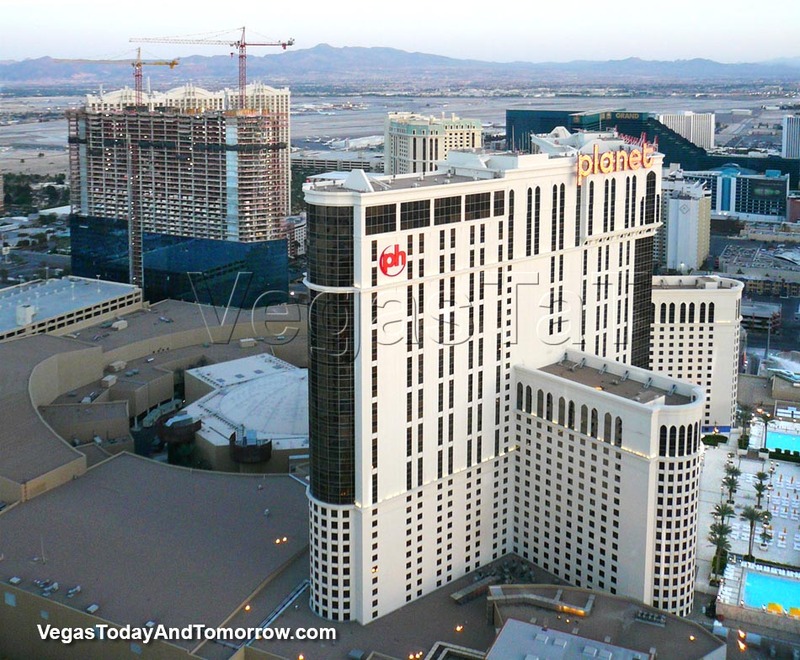 taken from the Marriott Grand Chateau. 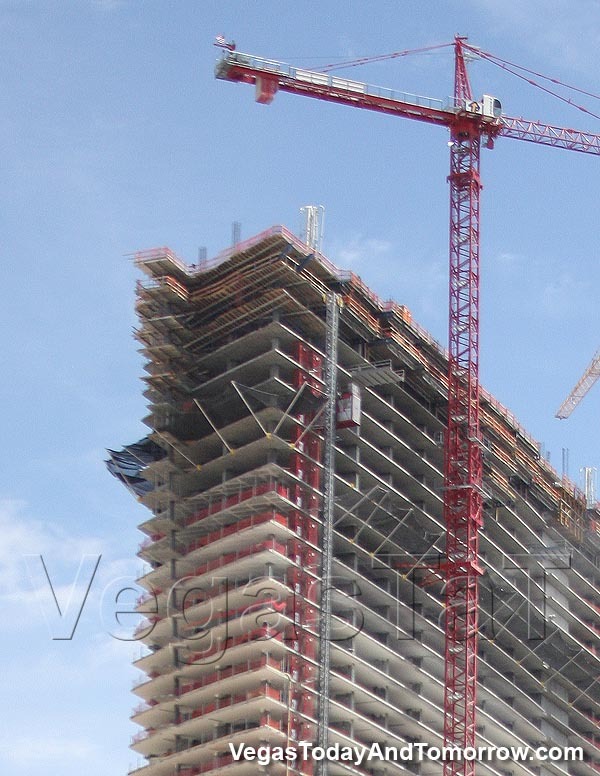 This puppy's going up fast. 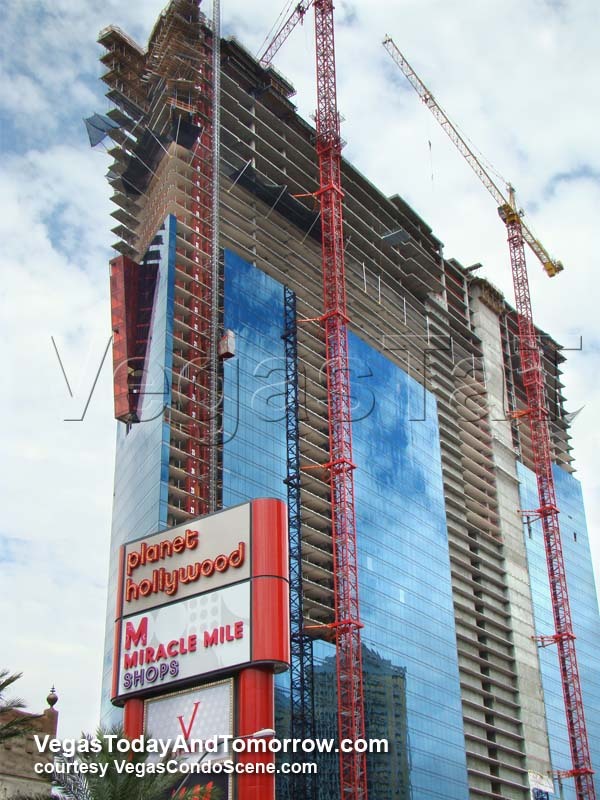 The sign and facade are racing to a finish. Photos 8/24/07 by Steve Covington. 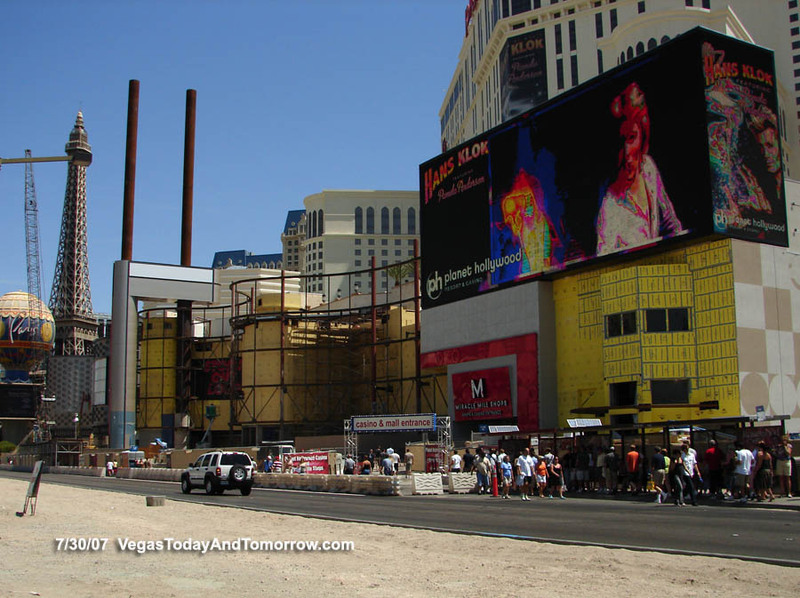 is getting a Times Square look. photo 3/19/07 by Andy B. 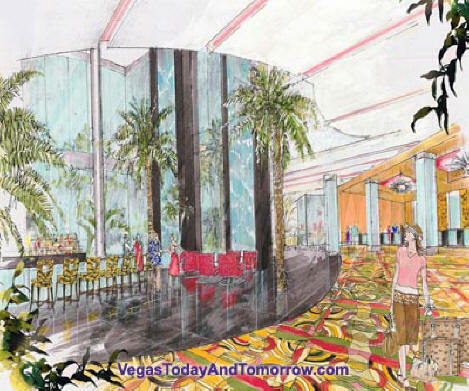 The latest rendering (left) shows a much cleaner approach than was originally planned (below). 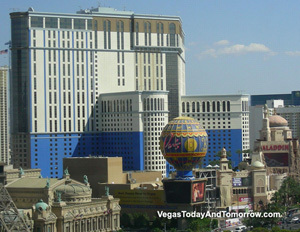 Gone, are the giant globes at the entrance and on top. 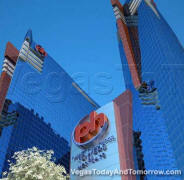 Gone, is the blue exterior and the dated logo which has been replaced with a fresh, simple design. which shows the land in question. The land is owned by the county and a small portion of it is being used for the Harmon Ave. realignment. 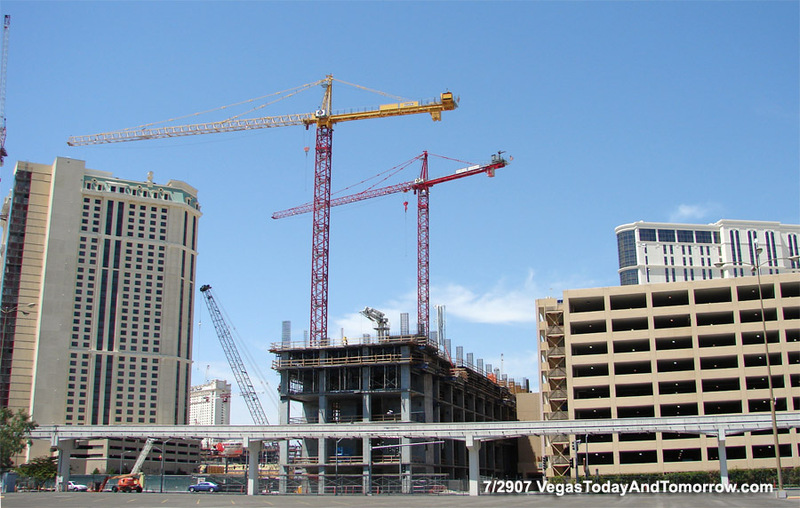 According to county data, the county purchased the 3.3-acre parcel in 1996 for $27,714. They have used about 1 acre for the realignment. My guess: the county is probably sitting on the remaining 2.33 acres (now worth well over $40 million) for an eventual profit. 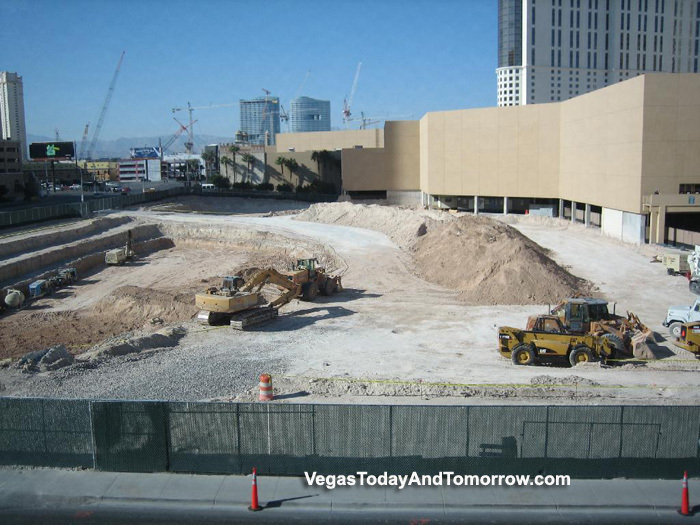 I'm sure Planet Hollywood would love that small corner lot, and hopefully they would use it for a parking garage (with shops on the ground level (hint). 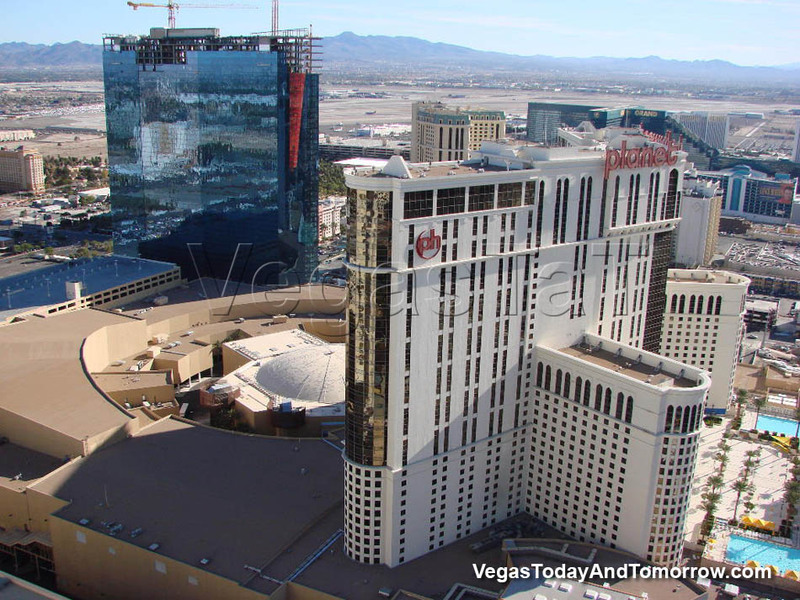 The blue paintjob (left) on the resort tower has stopped. 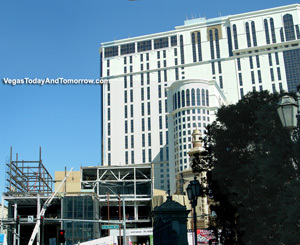 The tower is now being painted white (right). 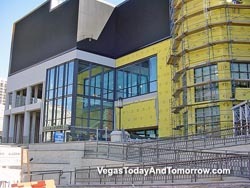 Maybe they read the countless forum threads and articles that stated how ugly the blue paint looked. 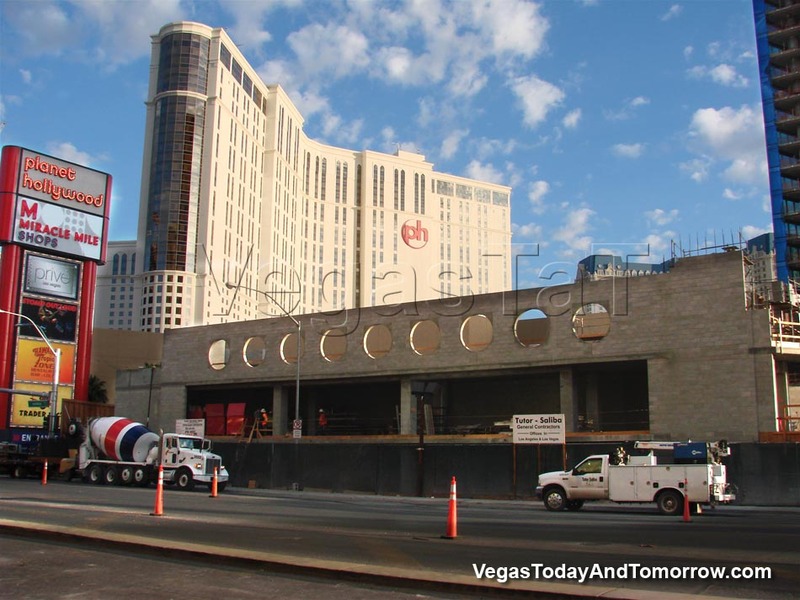 Meanwhile, the Desert Passage entrance (right) makeover is in full construction. 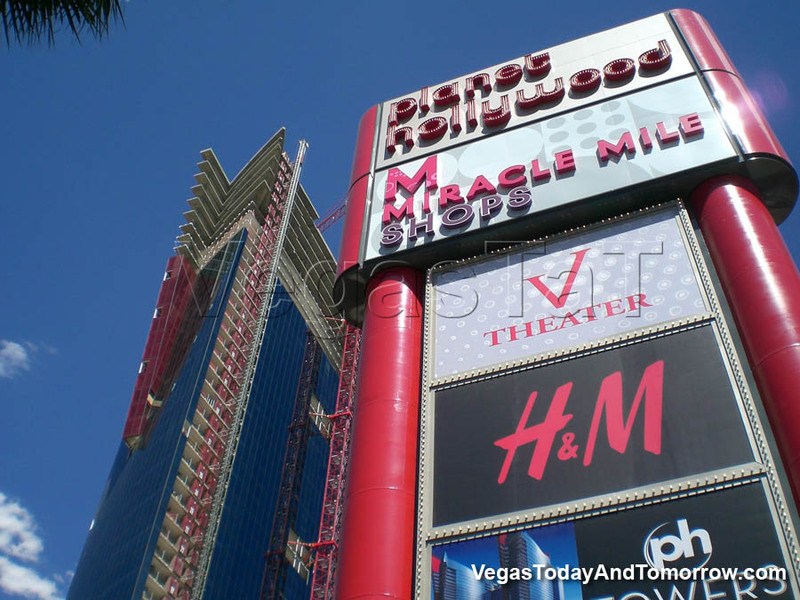 The Desert Passage Mall, within the Planet Hollywood resort complex, is about to go under the knife. 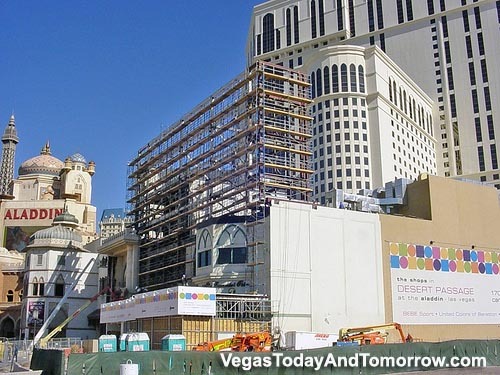 A $50-million exterior makeover, shedding the heavily mid-eastern theme and putting on a modern new skin, should be complete before 2006 ends. 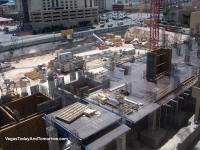 The interior work will be finished by mid 2007. 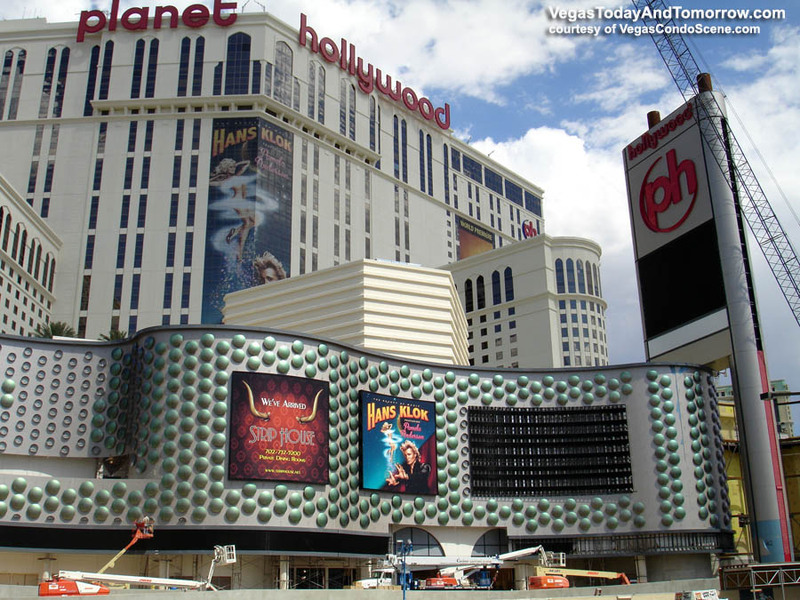 This will coincide with the rest of the Planet Hollywood takeover of Aladdin. 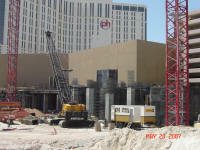 Construction started on the Westgate Timeshares at Planet Hollywood. 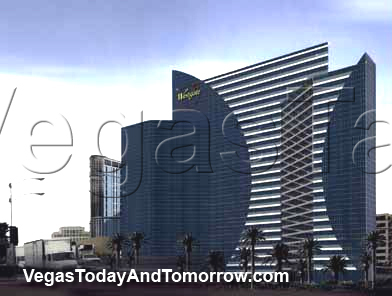 The new rendering (left) shows a radically changed design (see the original rendering below). 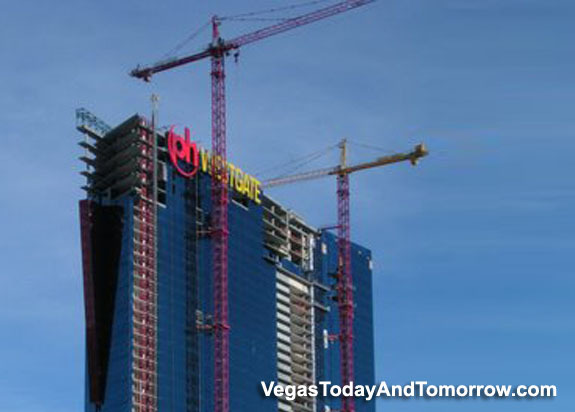 The new price tag for this project is $750 million. 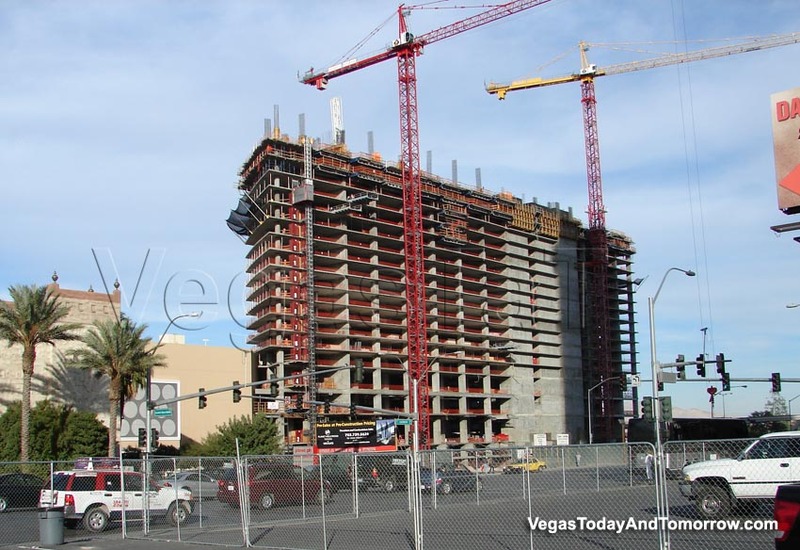 The two towers will be 50 stories with a total of 1,250 units. 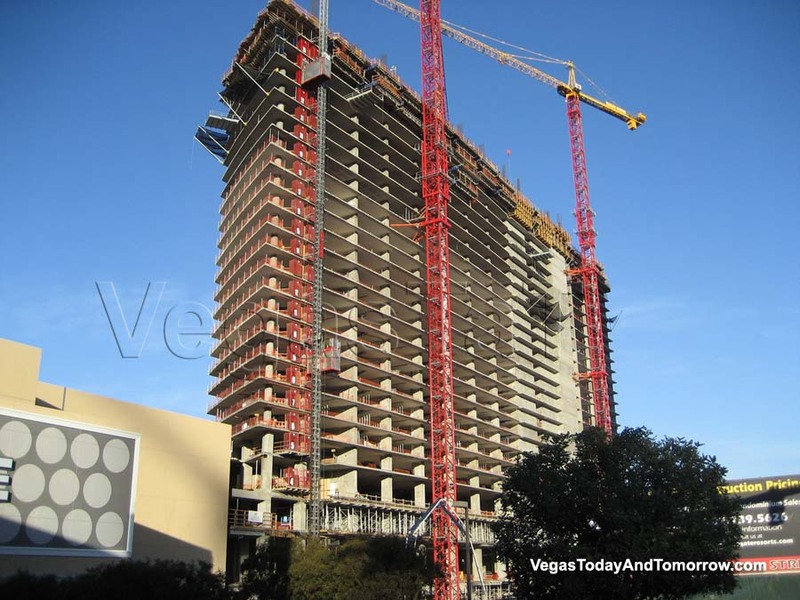 The 28 high-end penthouses (on the top six floors) will be priced between 4 and 10 million dollars. 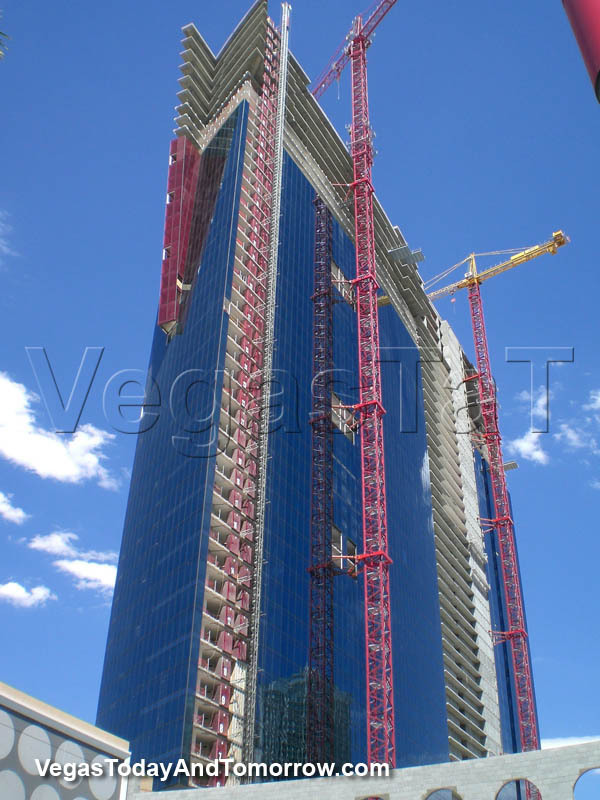 The twin towers now boast a stunning modern design, and from the looks of it, will have some very interesting penthouse floor plans. 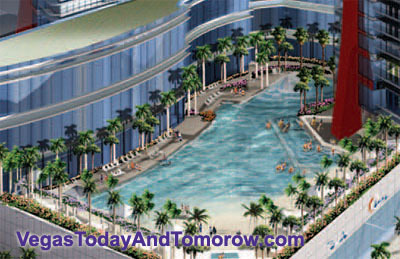 pool area on the second level and an exclusive 46th-floor Penthouse Pool. 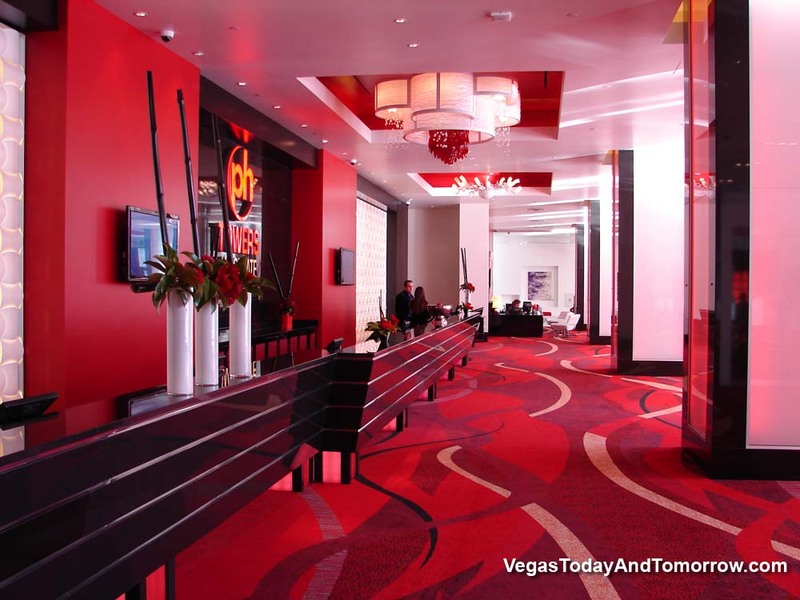 35,000 square feet of meeting and convention space, supplementing the resort's meeting space. 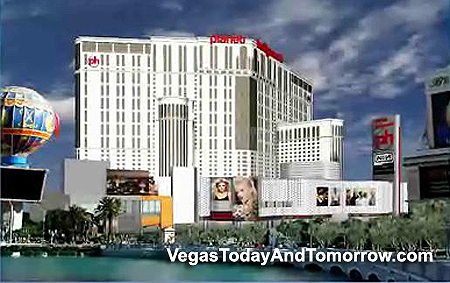 The towers will be fully integrated (with Planet Hollywood Resort and Casino). There are no others like that in the industry. That creates excellent value for the time-share buyer, as you can choose to let Planet Hollywood rent your unit-time as hotel stock inventory. 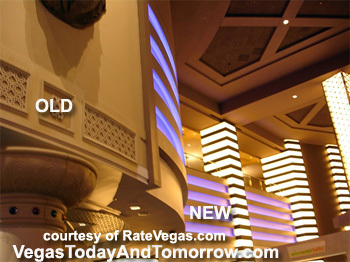 This will be the first time-share linked directly to a casino-resort. 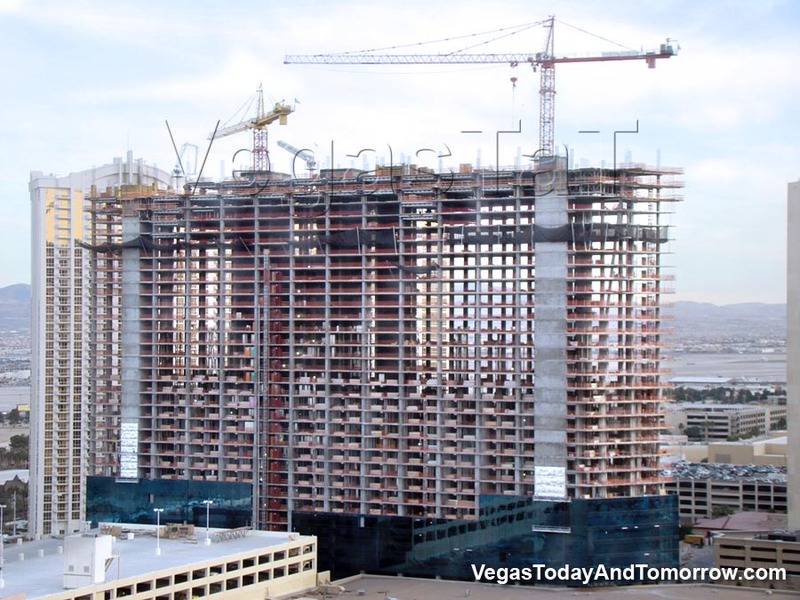 The towers are scheduled to open in late 2009. 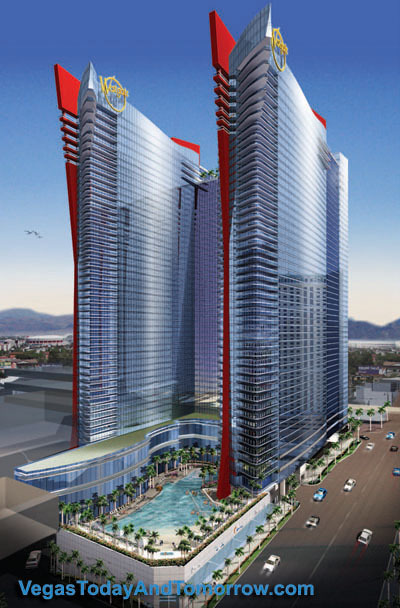 Early rendering of the proposed timeshare. 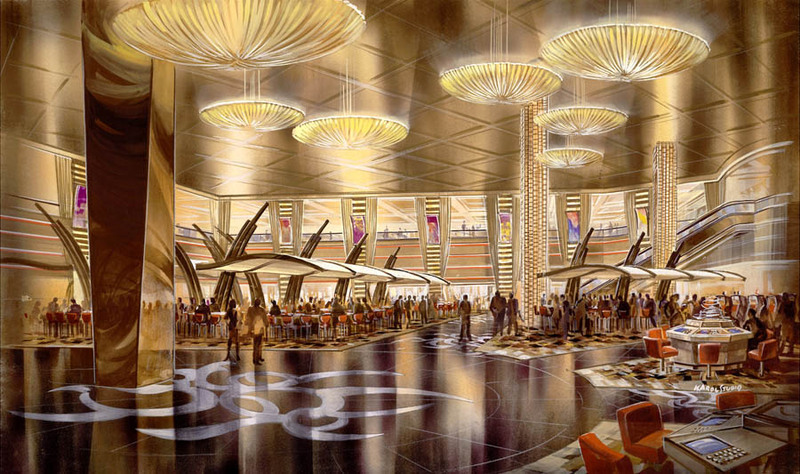 These are the original plans. Updated specs are reported above. 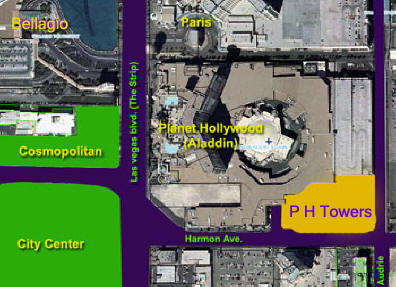 The time-share tower is planned on 4 1/2 acres on Harmon Avenue east of the main entrance of Aladdin...err...Planet Hollywood and is part of the burgeoning Harmon Corridor. Planet Hollywood will use unsold time-share residences to supplement the resort's hotel room inventory. 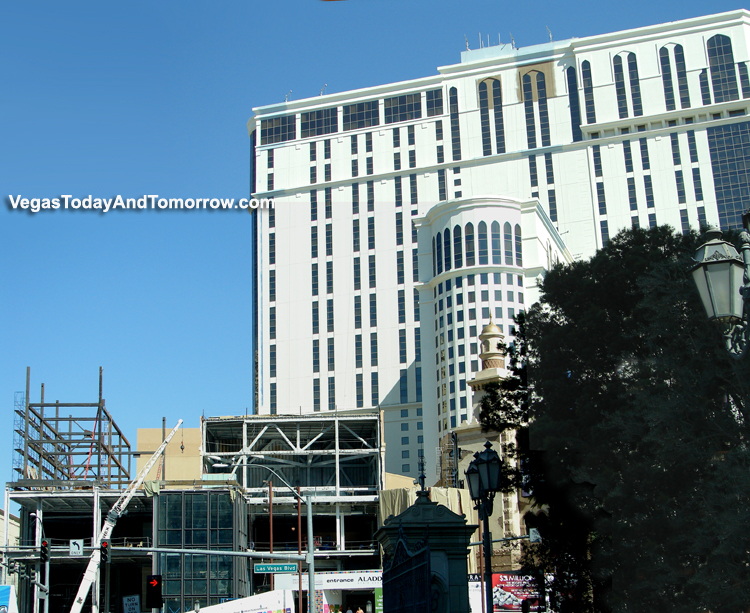 The 800 two-, three- and four-bedroom time-share suites will boost room inventory to more than 4,700 at the hotel. 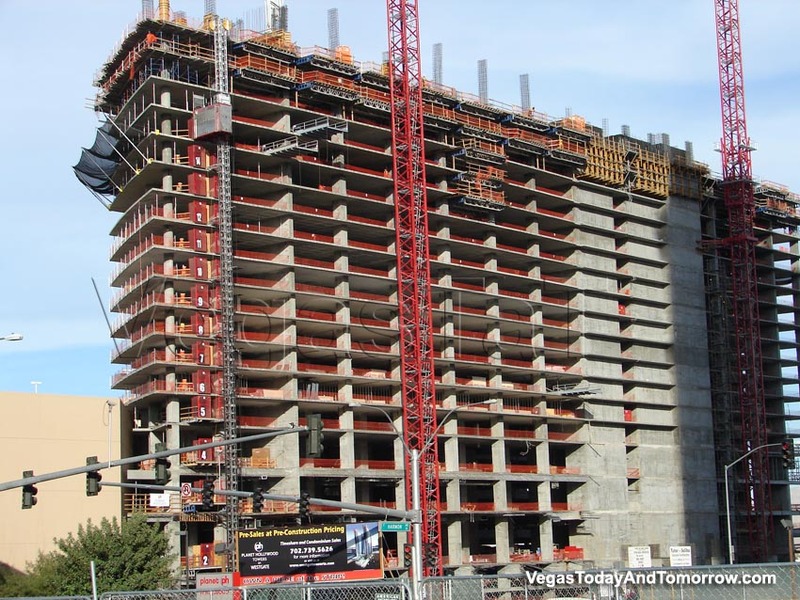 The project is being developed in one phase and that the top two floors would include 16 5,000-foot penthouses that would sell for $5 million each. 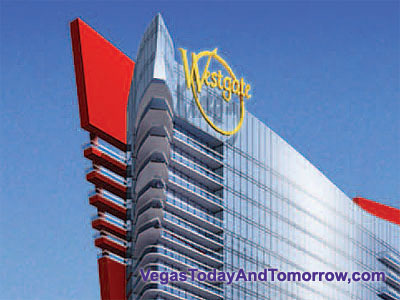 Westgate Resorts will begin construction of the $400 million, 800-unit development later this year with completion of the first suites targeted for New Year's Eve 2007. 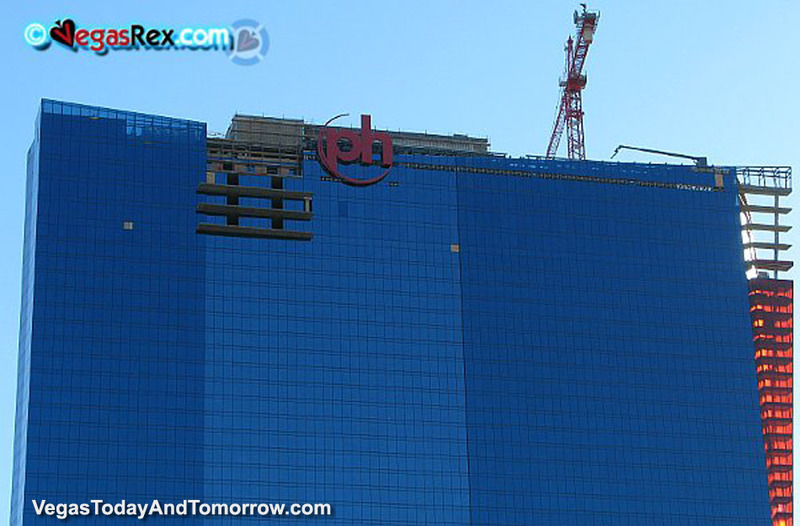 The exterior transformation of the Aladdin to Planet Hollywood has begun. 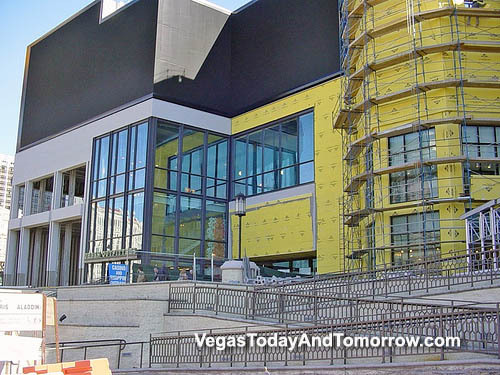 The buildings' exterior is getting a coat of blue paint...yes paint. 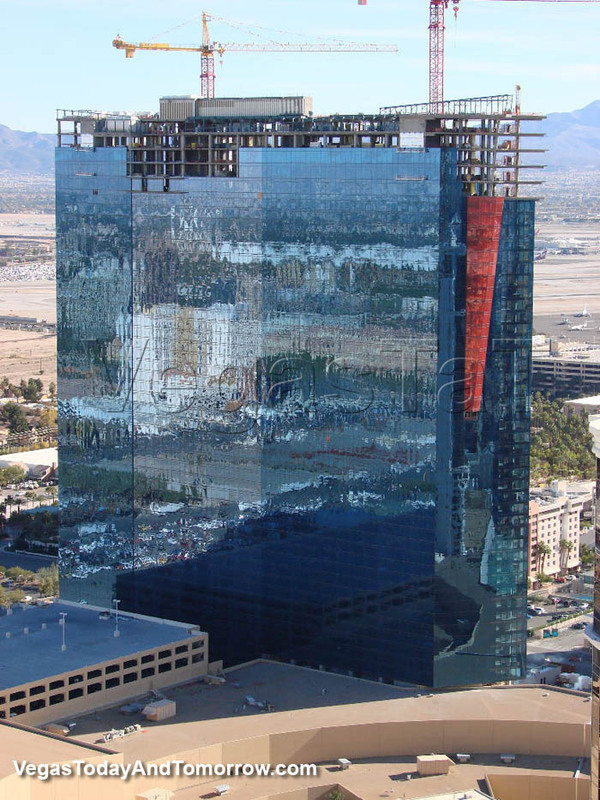 I guess the original idea of covering the building with a new skin of blue glass was too expensive. I was looking forward to this rather hodge-podge architecture disappearing, but I guess it's going from ugly to uglier. 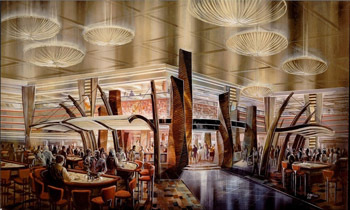 The first renderings of the lobby and casino have lead me to start preparing a meal consisting of my earlier statements. 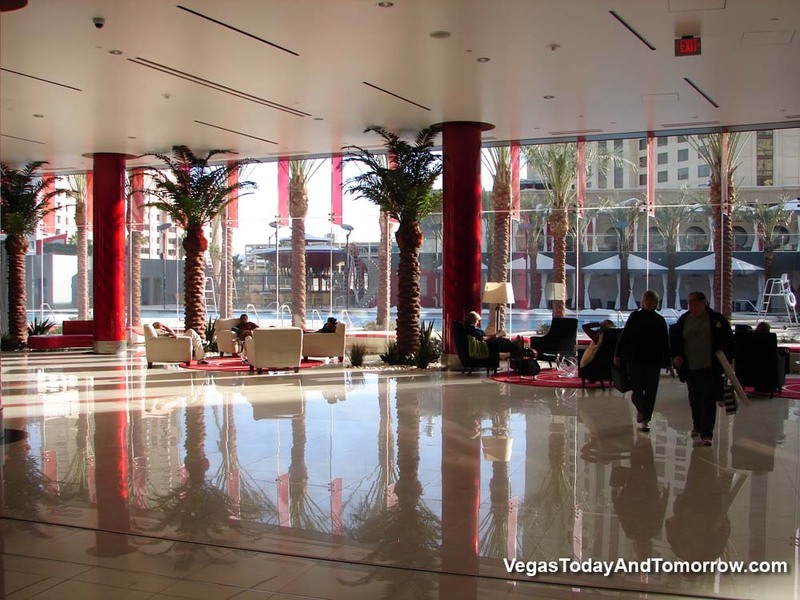 These are quite stunning, with design by Dougall Design (who also did THEHotel at Mandalay Bay), the PH folks have me raising an eyebrow. 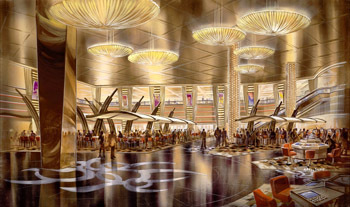 They may actually transform the Aladdin into a truly great resort. 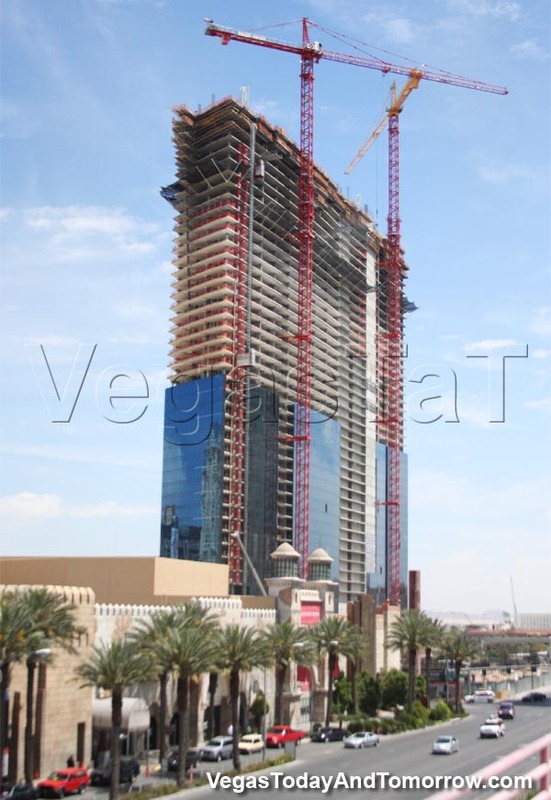 The entire transformation is scheduled to be completed one year from now and will be done in three phases. The lobby will be a clean and sleek design. Click the images for a closer look. 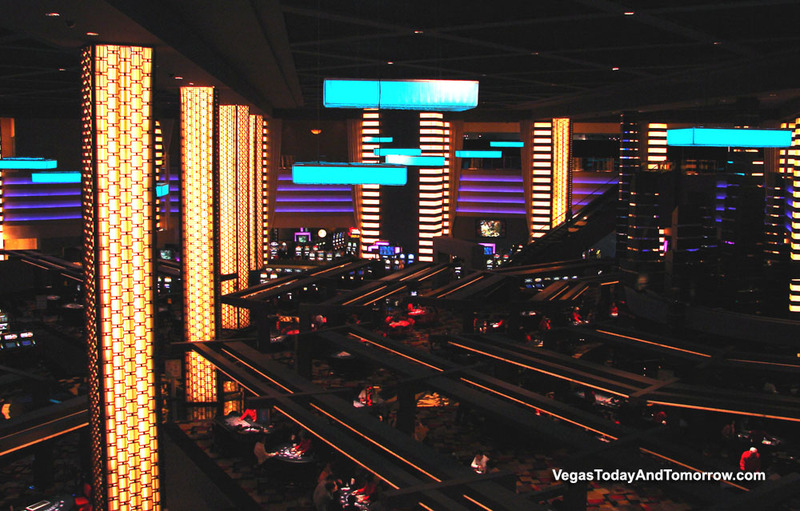 The casino will be more open as the removal of the centrally located escalator bank are in the plans. 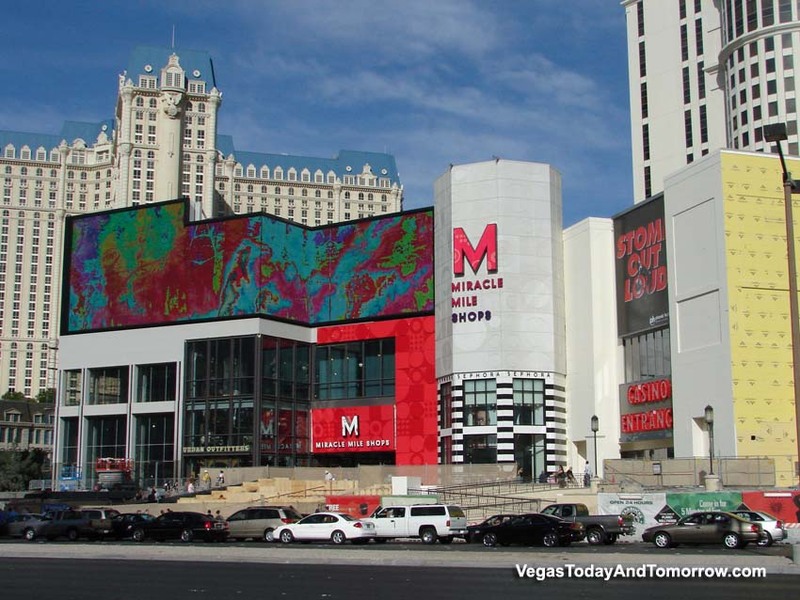 They are also planning to use space from the Desert Passage Mall to create a full sized Race and Sports Book (something the Aladdin never had). The property will also boast new restaurants and nightclubs as well as renovated hotel suites and rooms. 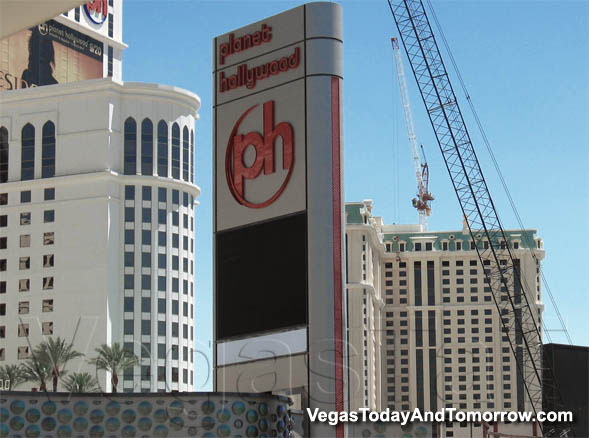 A year after Planet Hollywood bought the Aladdin, the re-branding of the property has started and the renovation work is about to begin. 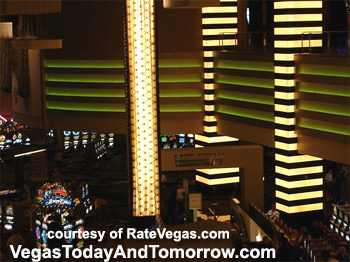 The renovations will be done in phases so that the casino can stay open and the guests will not be (too) inconvenienced. 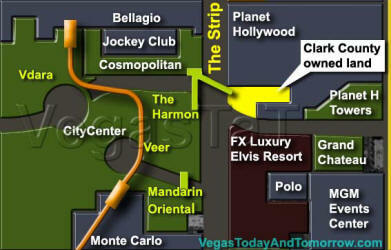 The Strip entrance is the major issue. 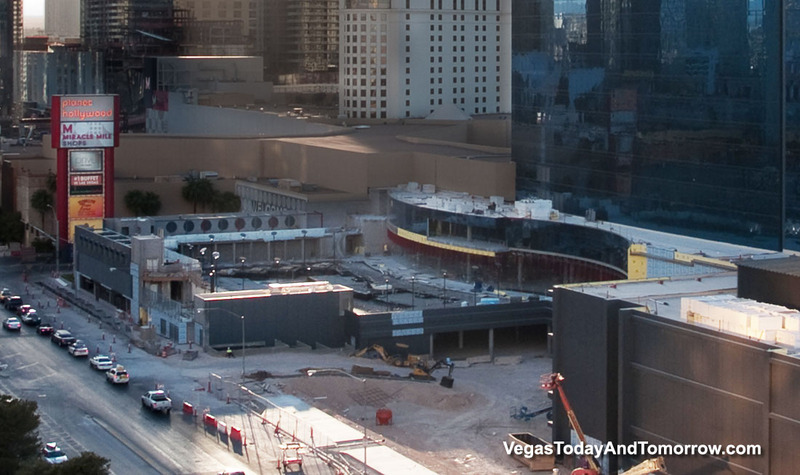 The confusing old facade (left) will be opened up and a huge plaza entrance will grace the strip. 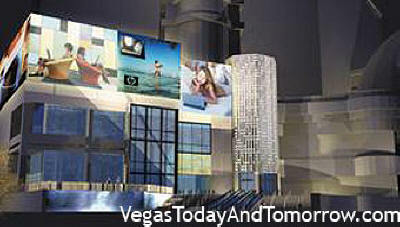 The new entrance will showcase both the mall and the casino, making it clear where each is located. 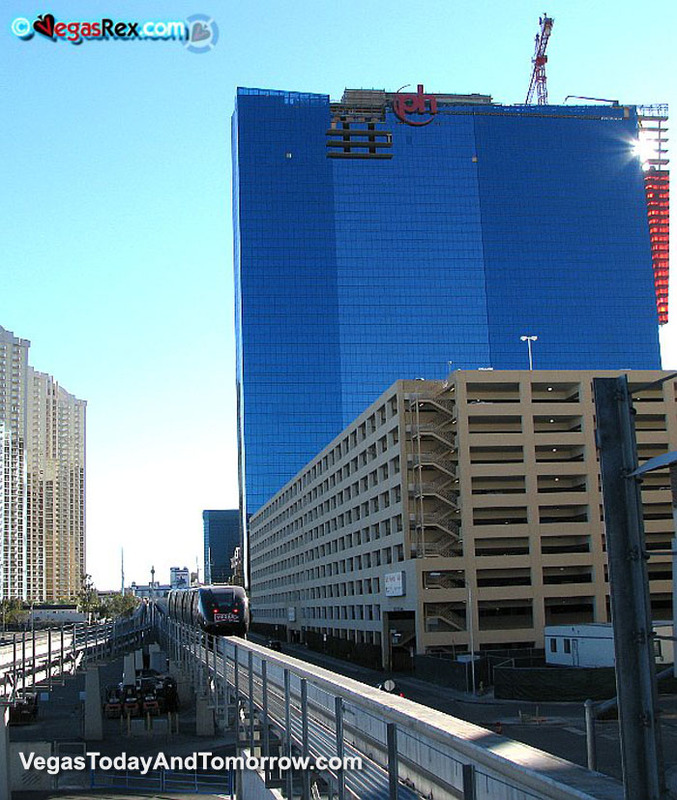 The Harmon Ave. entrance will also be reinvented to lure the (soon to be) heavy pedestrian traffic, which Harmon's string of new condos, clubs and resorts will bring. 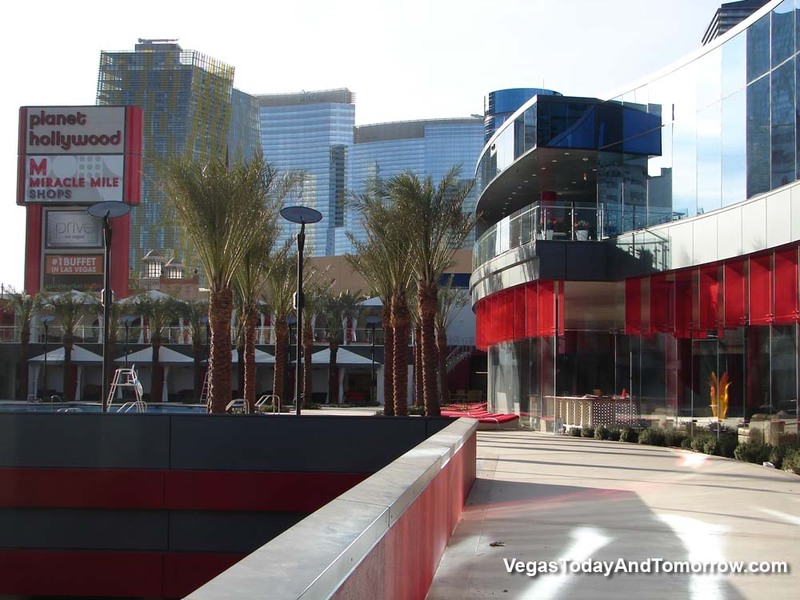 The planned $120-million transformation of the bankrupt Aladdin into Planet Hollywood looks more like a downgrade (sorry for the commentary, but look at it). 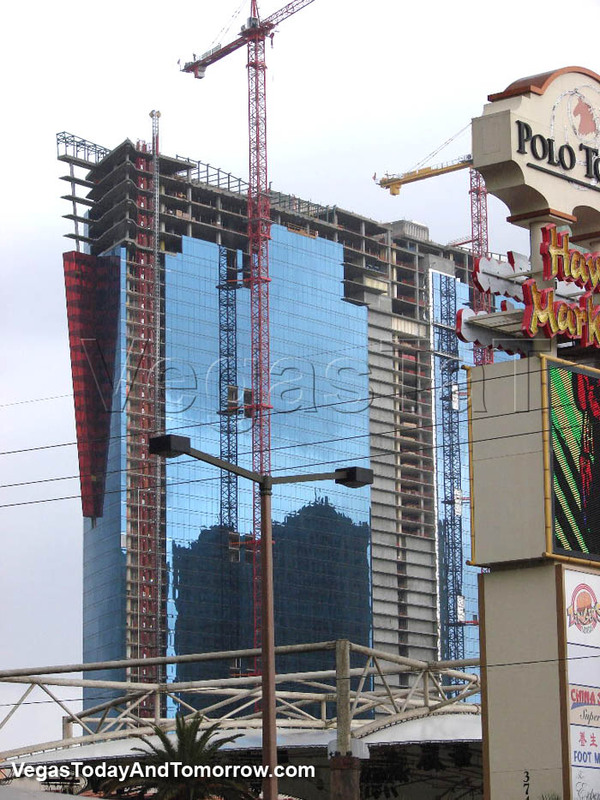 The Planet Hollywood folks are gearing up to add some gaud to the strip while other developers are replacing gaud with class (go figure). 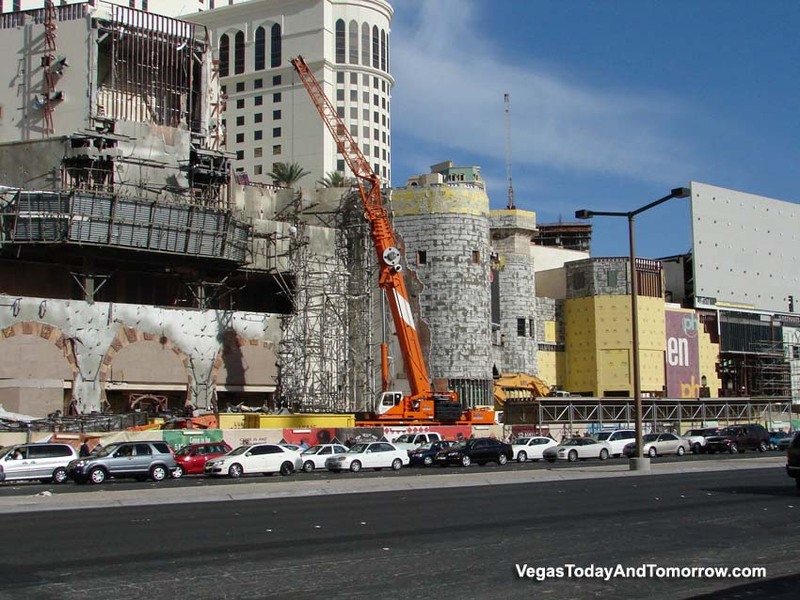 As of June, 25th 2005 nothing has been done. Maybe changes are in the works (I hope so). 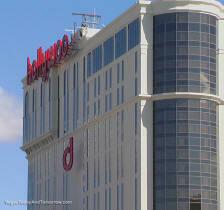 Sheraton will be managing the hotel operations. 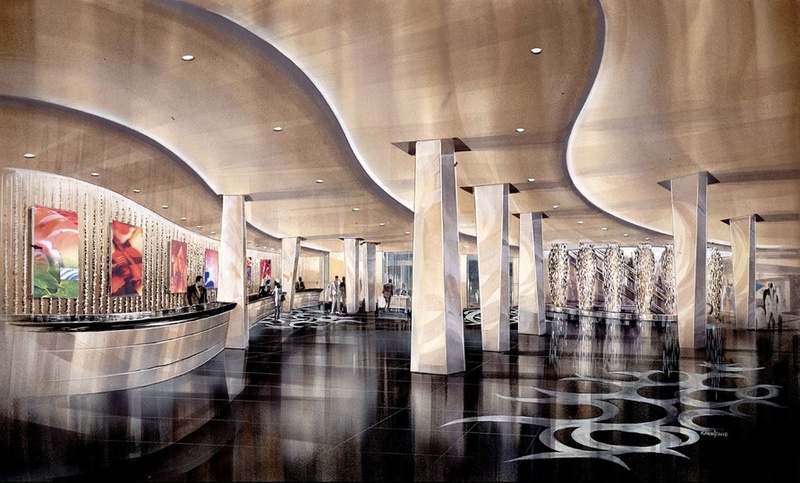 Often, preliminary renderings are exaggerated, maybe it won't be as horrible as it looks. 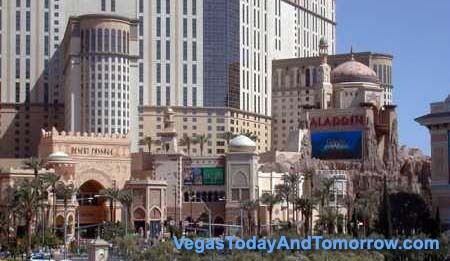 Some of the reasons the Aladdin wasn't successful: There was no obvious entrance for pedestrians on the Strip, the entrance was above grade through a series of stairs and ramps, most of the pedestrians that did manage to enter the property, entered through the unpopular (dark) Desert Passage Mall. 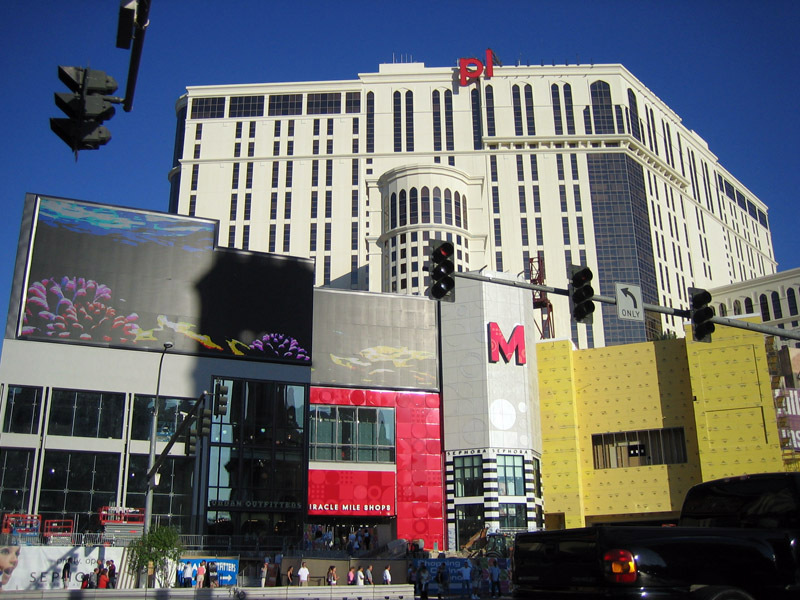 The mall (unlike the Forum Shops at Caesars) does not guide you to the casino, it meanders you around the casino, past countless uninteresting shops and right back to the Strip. 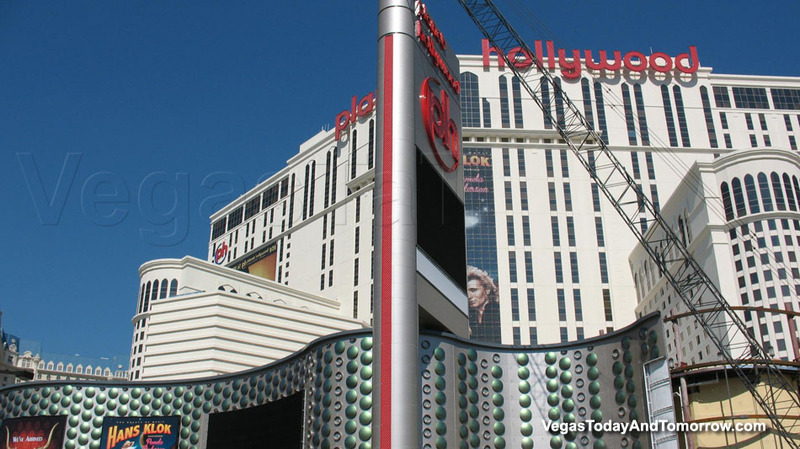 The interior and exterior design is terrible (I could write volumes on this) and the Strip signage is useless. 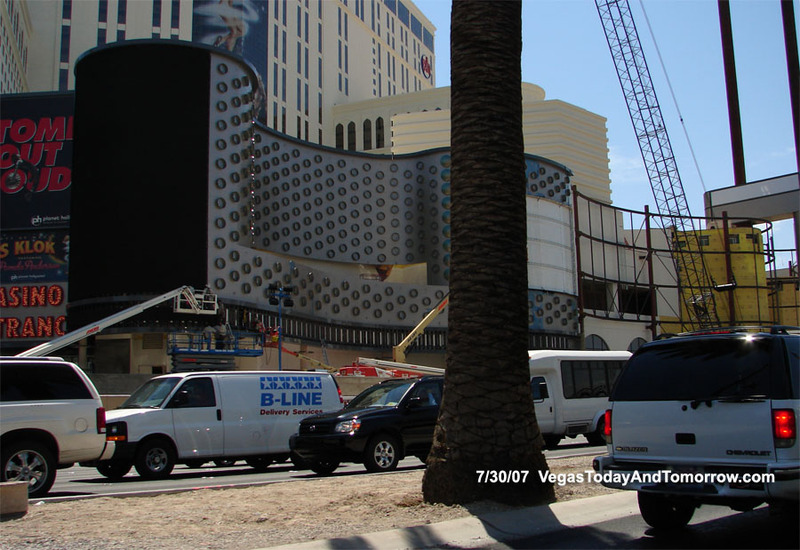 Lastly, a middle eastern themed casino in a time of terrorist activity made the place seem more like a target than a resort. 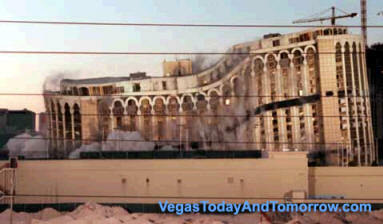 This less than brilliant design cost the Aladdin millions in lost revenue. 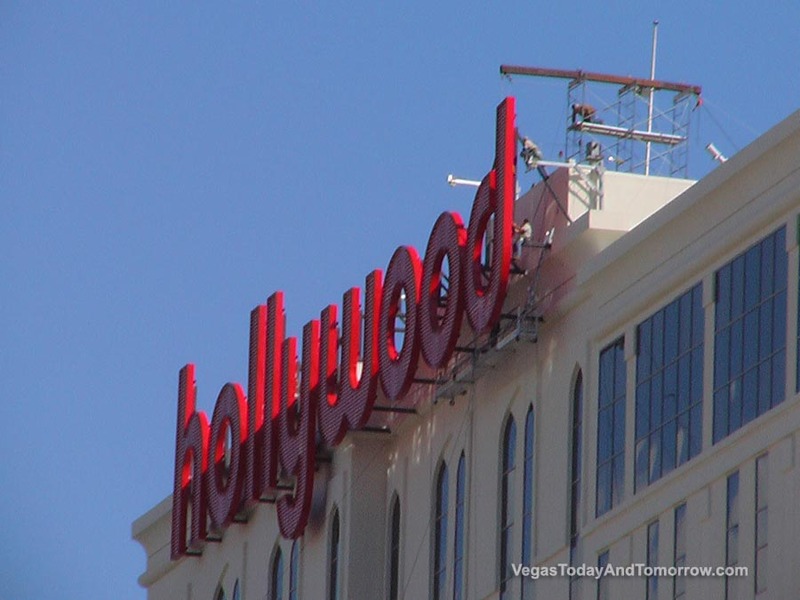 From its 1962 beginning, this property seemed to be doomed for failure. 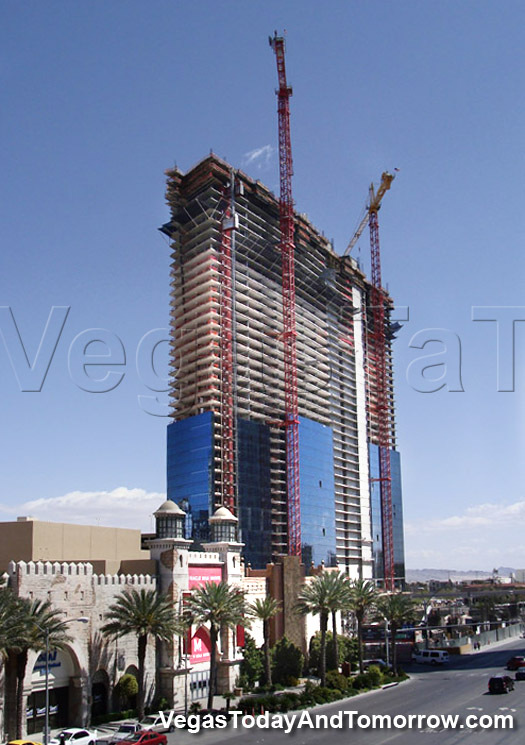 This property, at times, was called "The Vegas Jinx". 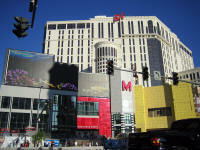 There were many owners, name changes, remodels, bankruptcies, closings, openings, and mob dealings throughout the years. 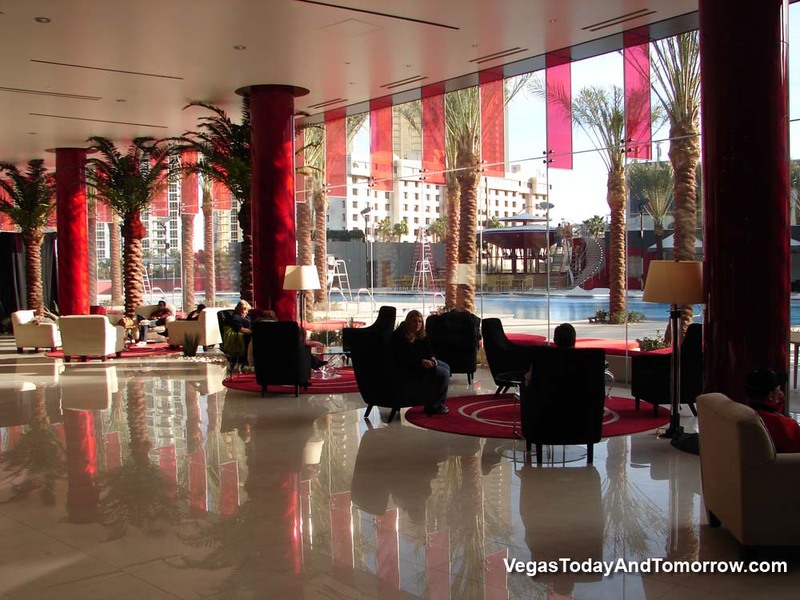 The history of this resort reads like the 'who's who' in the underground world. 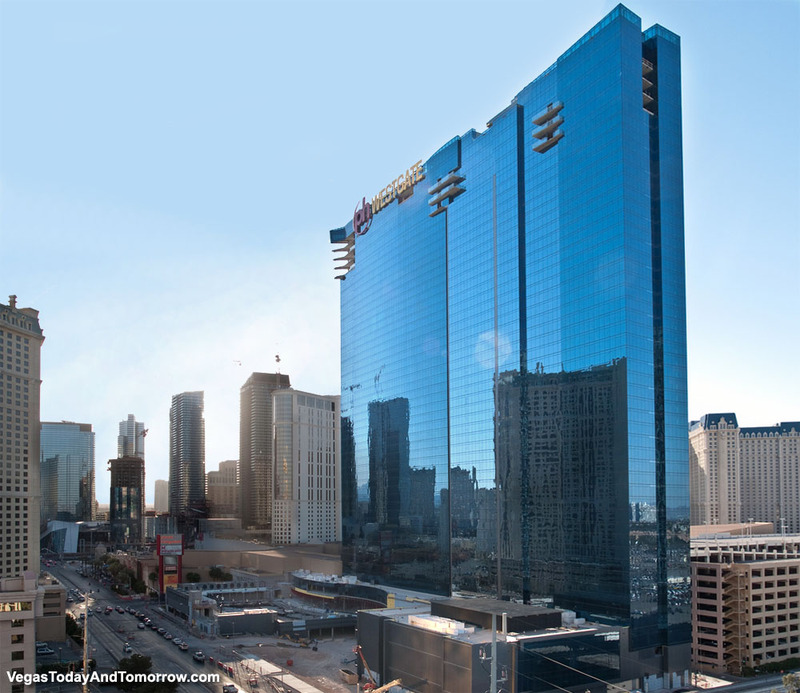 During this 'history', the 19-story tower and a performing arts center were added in 1972. 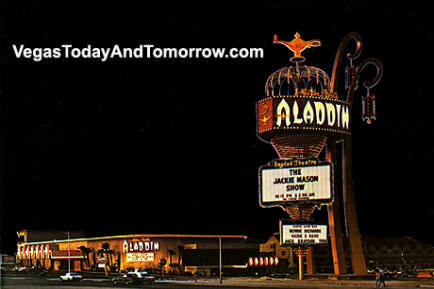 On November 25, 1997, the Aladdin closed its doors forever. 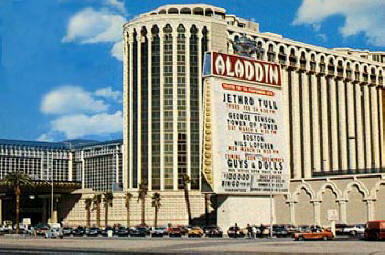 The Aladdin was imploded at 7:30 p.m. on April 27, 1998. 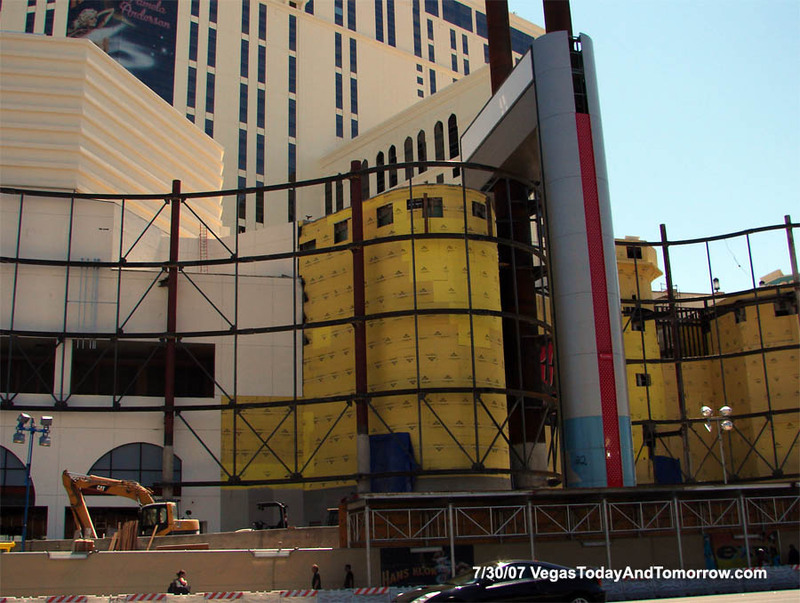 The performing arts center was the only structure saved. 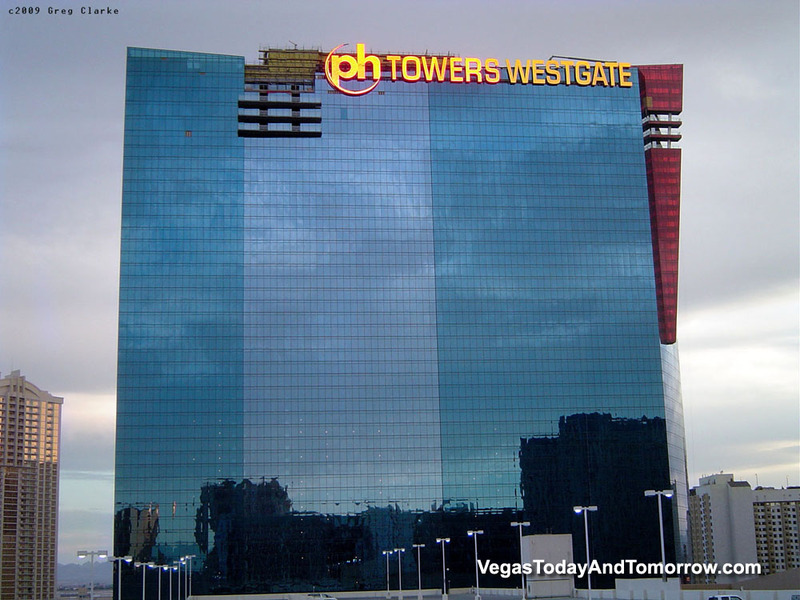 The new Aladdin mega-resort opened August 17, 2000, but the troubles didn't stop. Another bankruptcy, and much legal mumbo-jumbo led to its sale to the Planet Hollywood folks, who "planetized" the whole resort in 2007 (we'll see how long PH lasts).